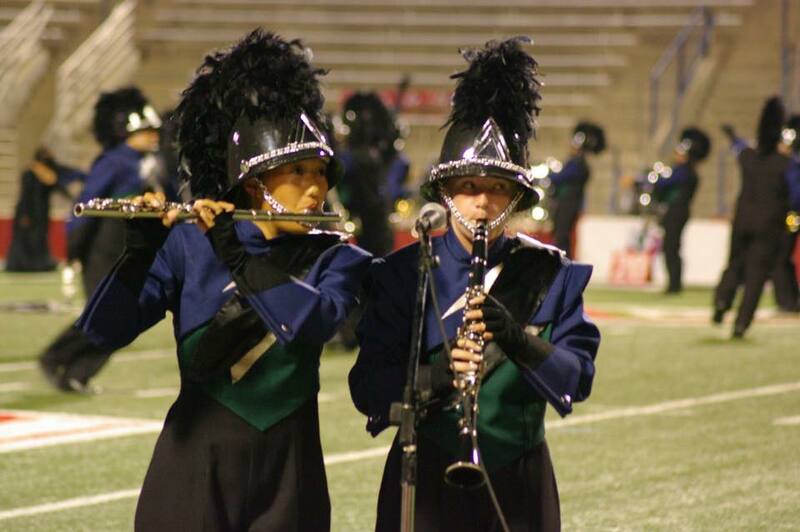 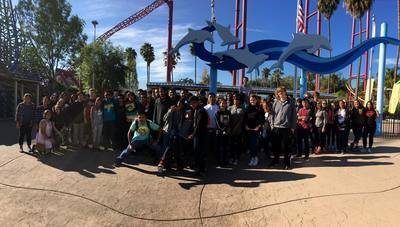 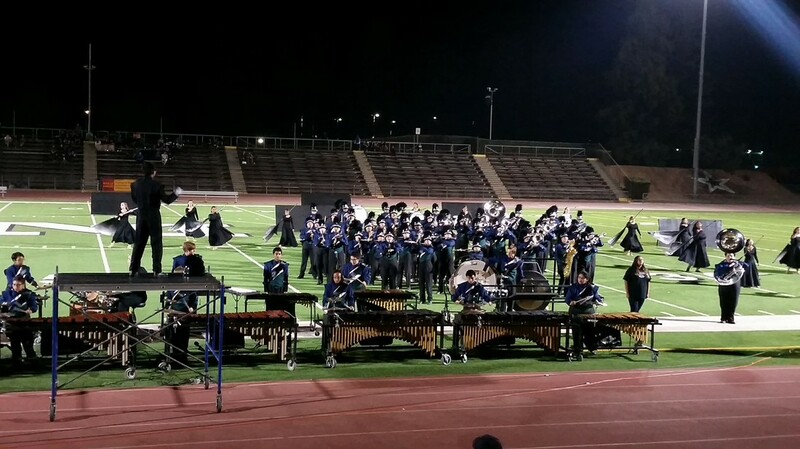 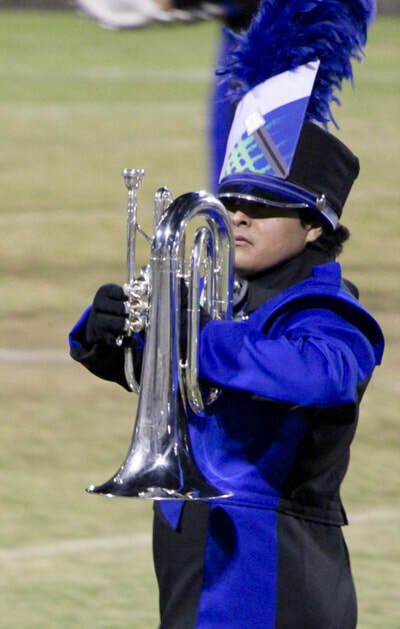 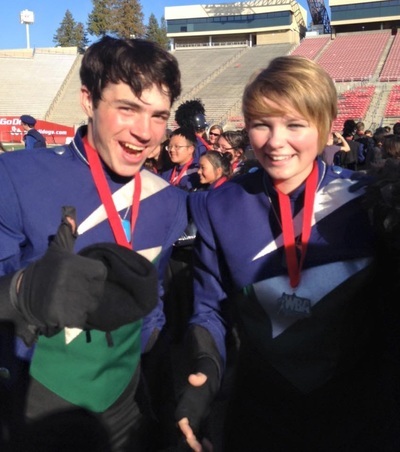 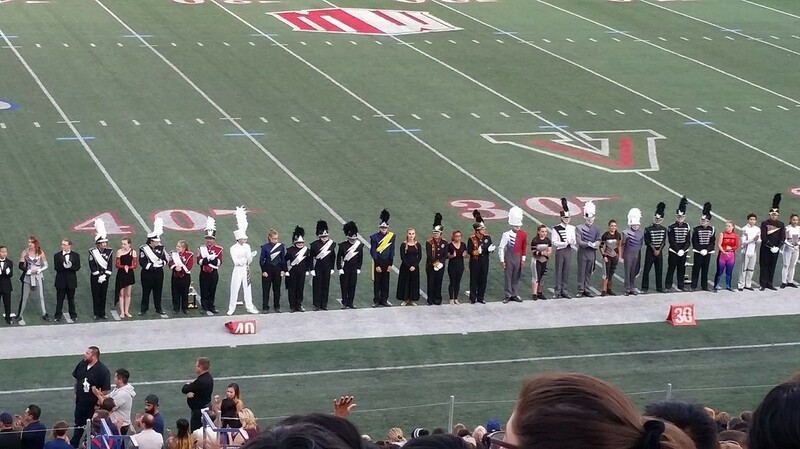 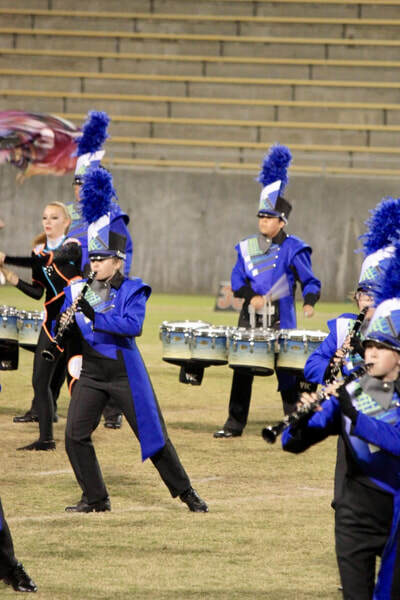 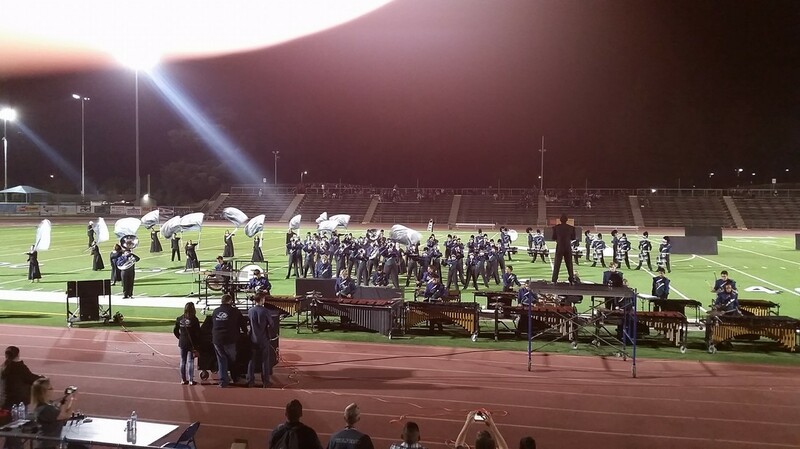 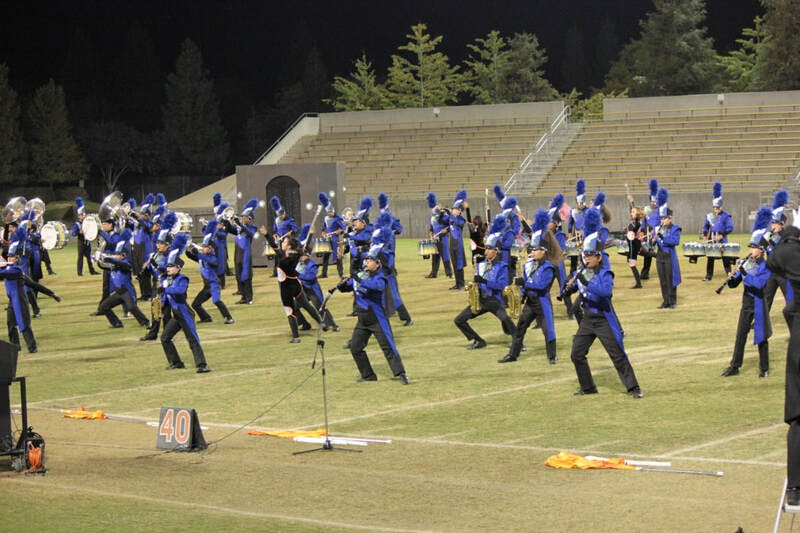 Marching Band is one of the most exciting performing experiences in our program! 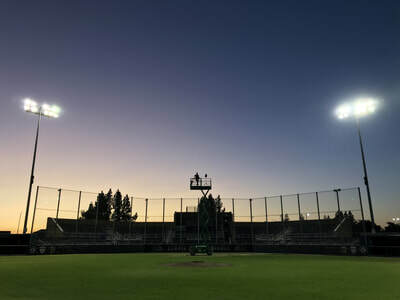 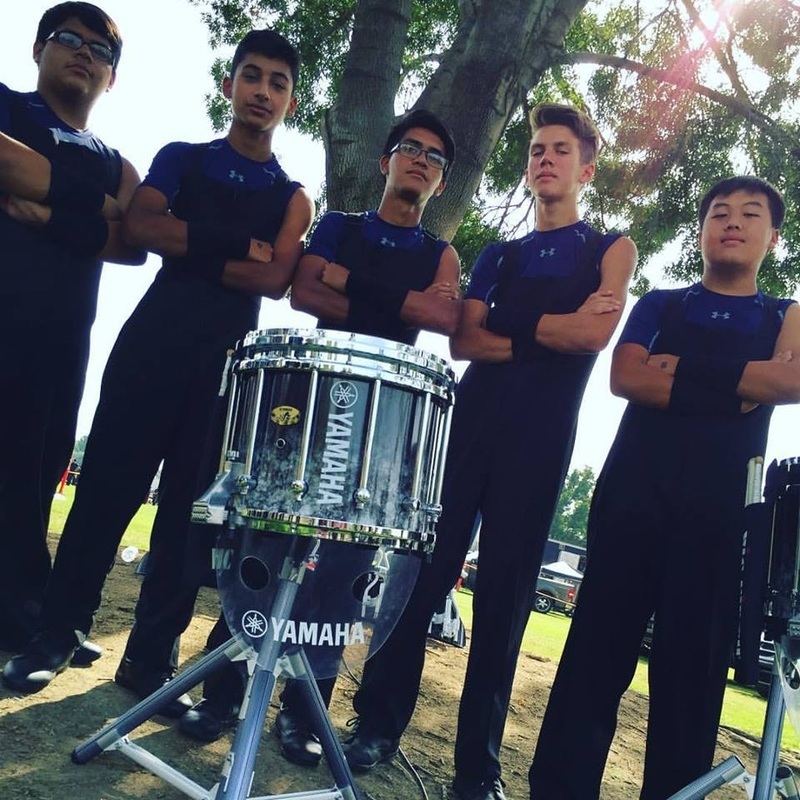 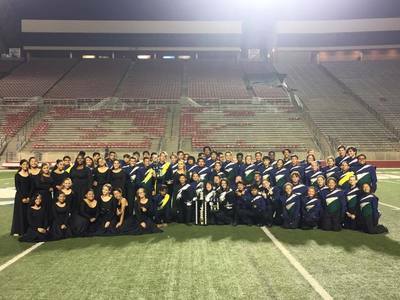 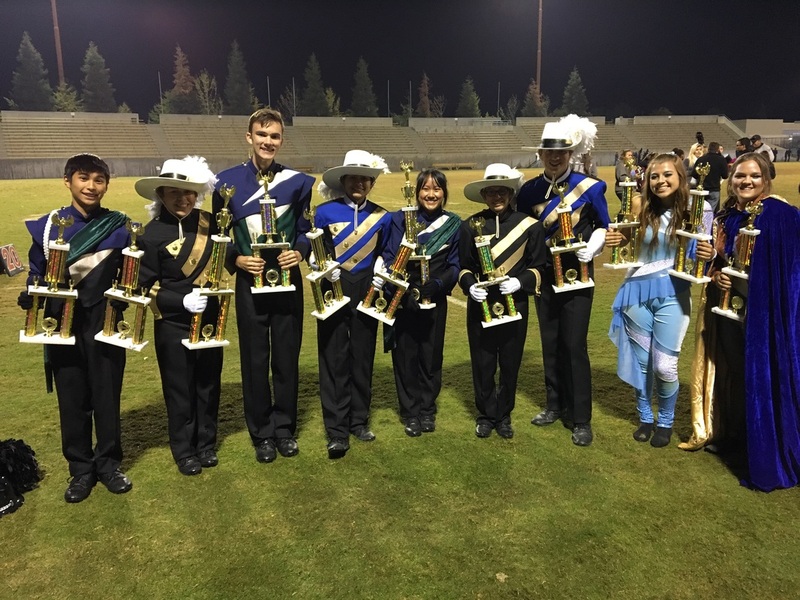 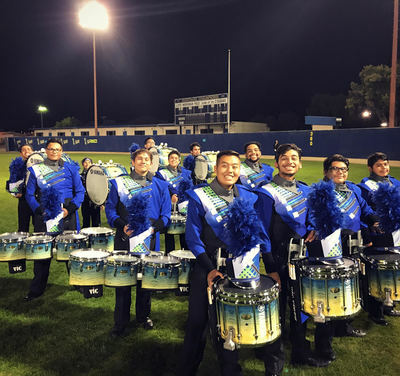 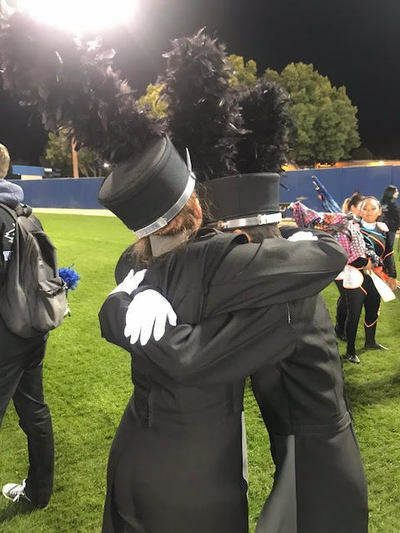 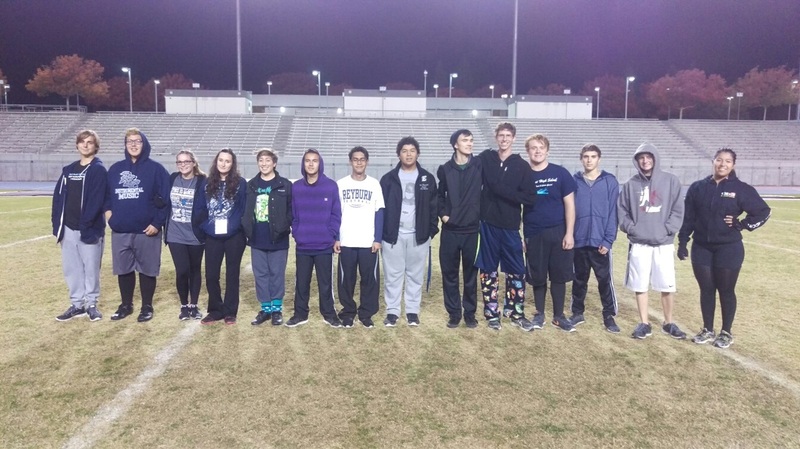 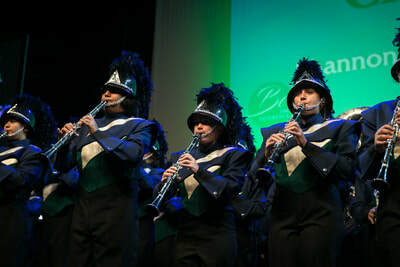 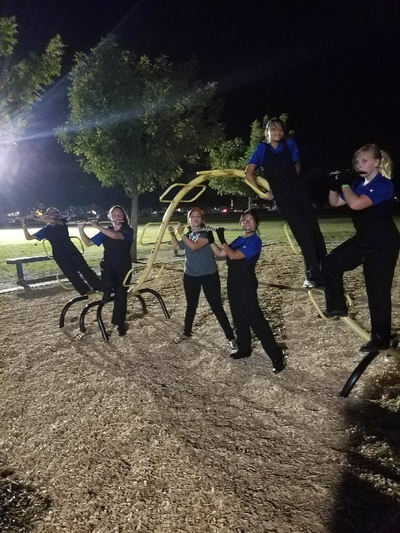 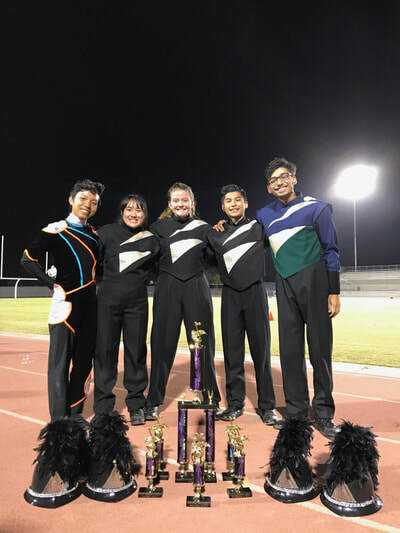 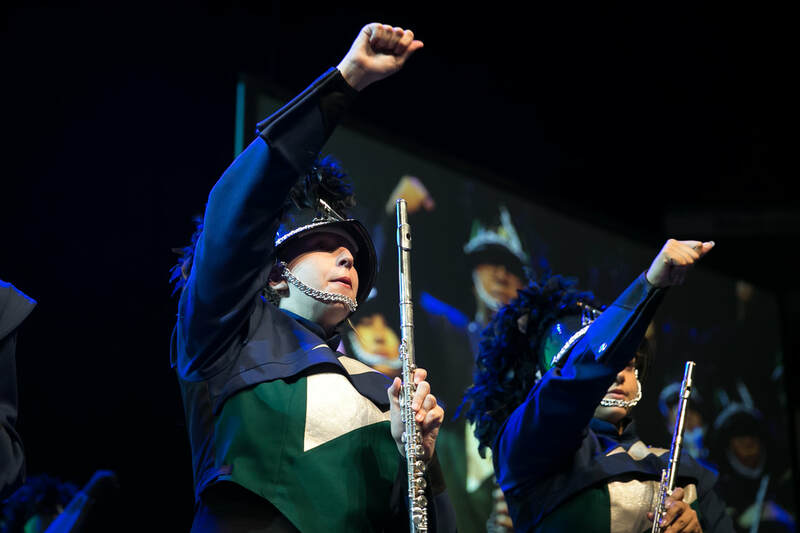 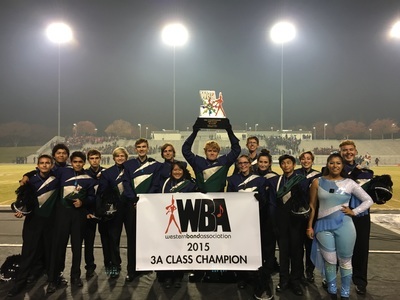 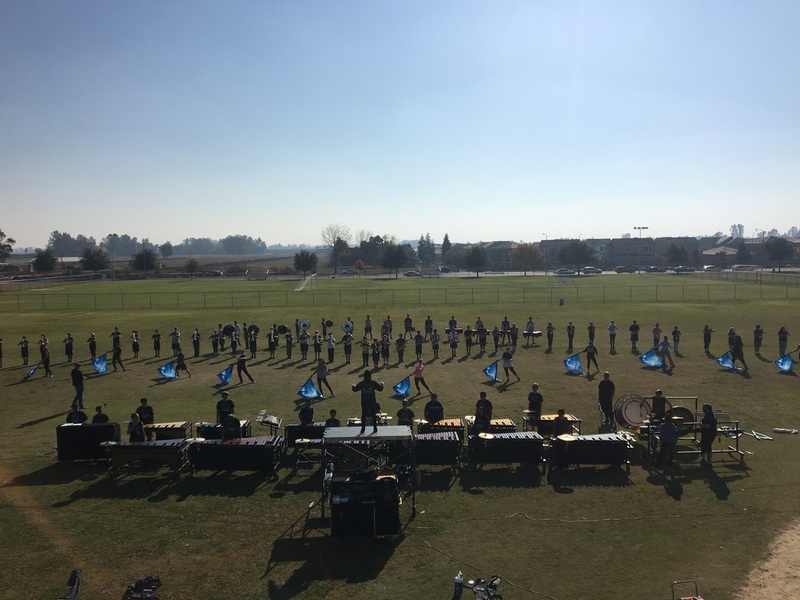 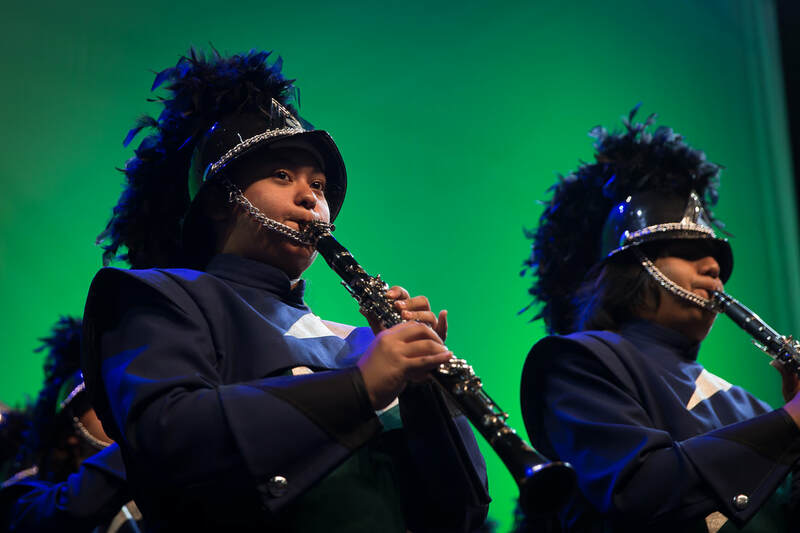 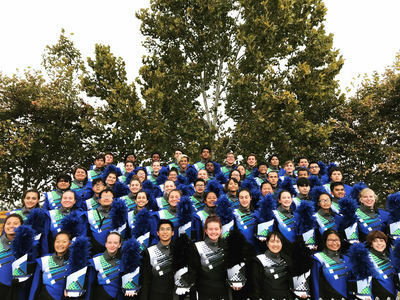 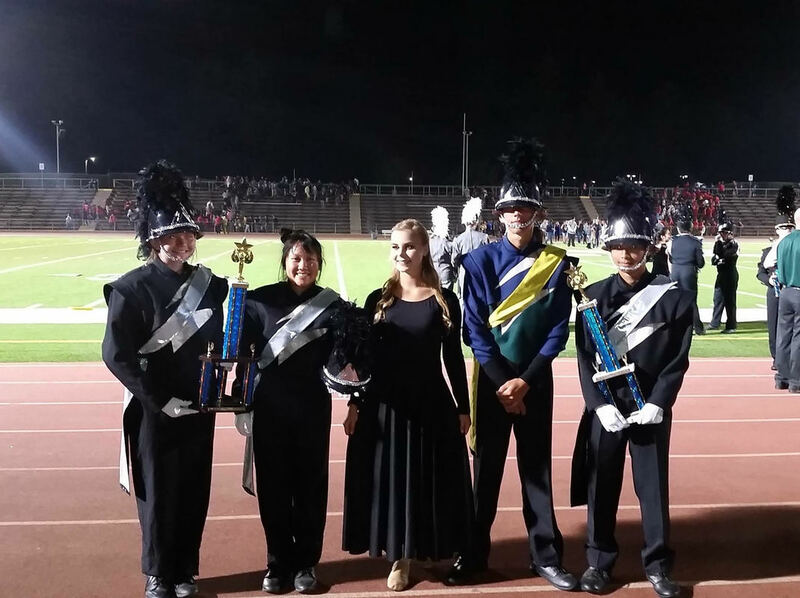 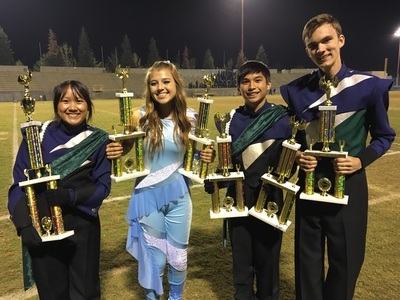 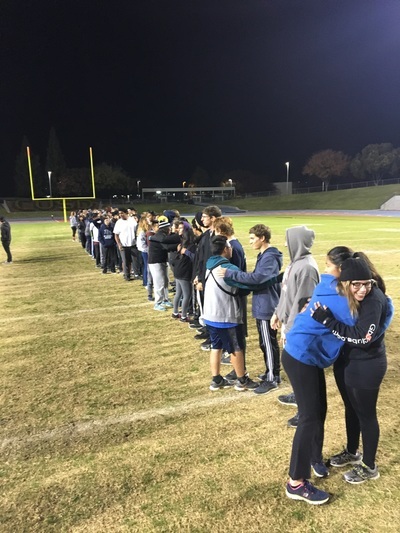 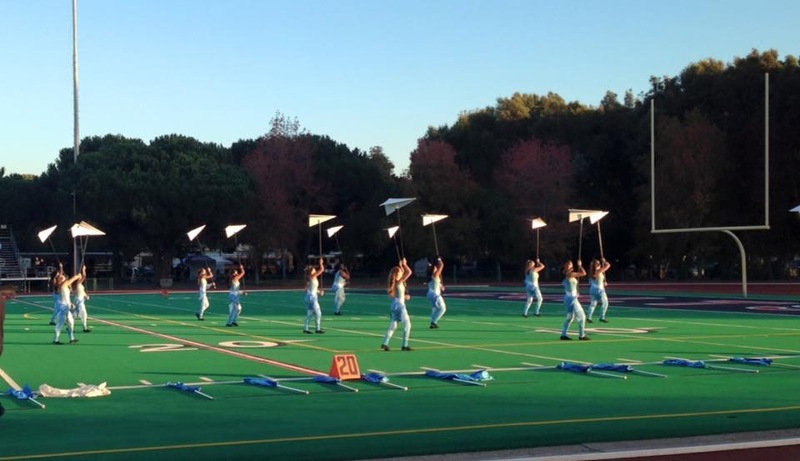 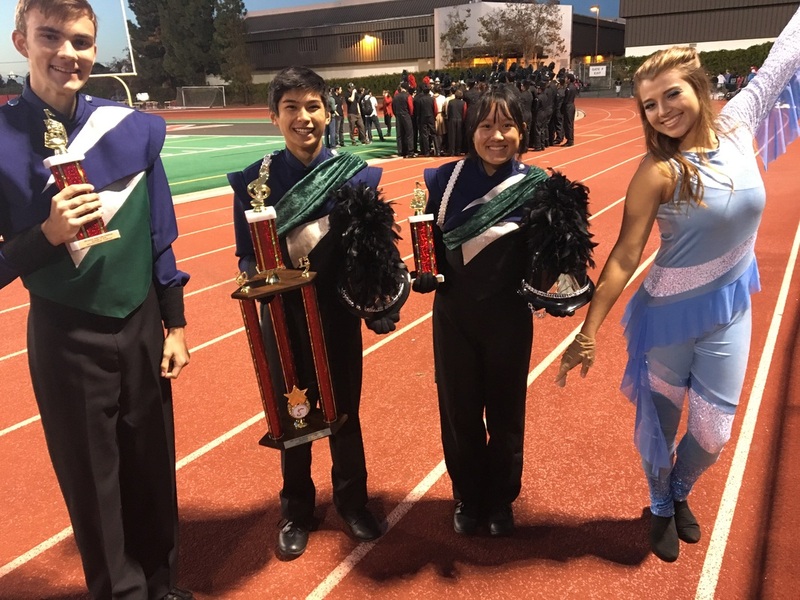 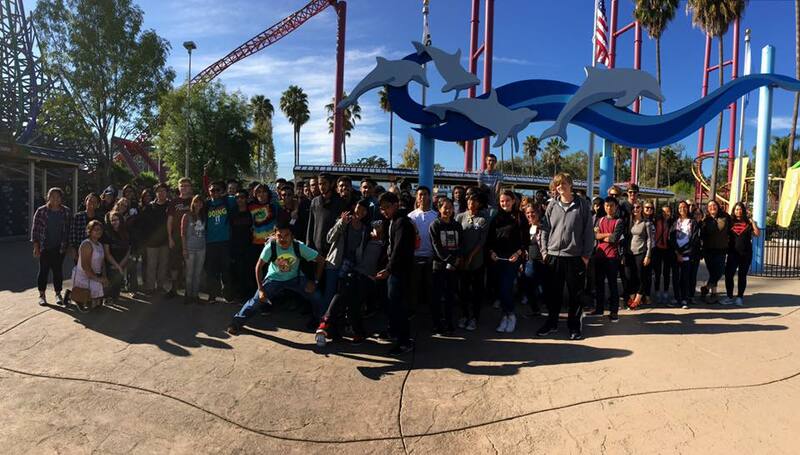 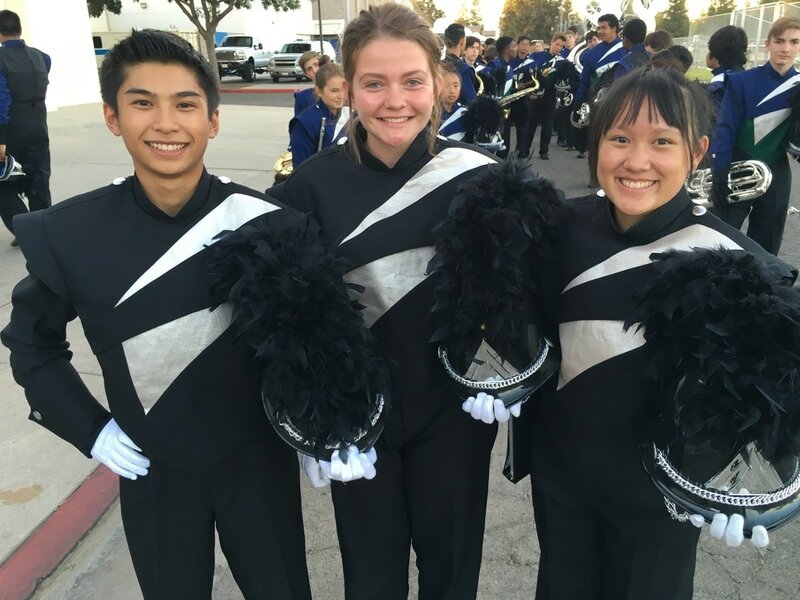 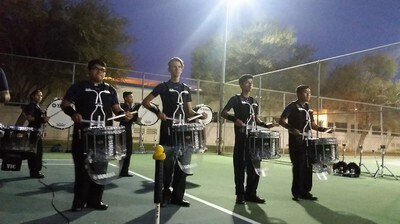 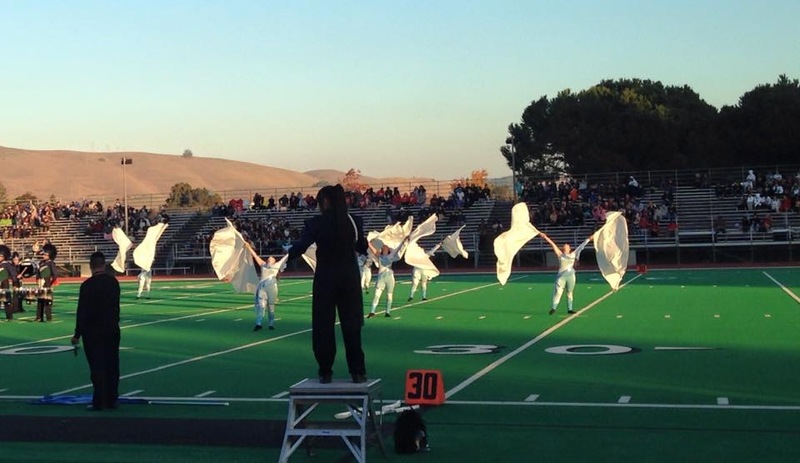 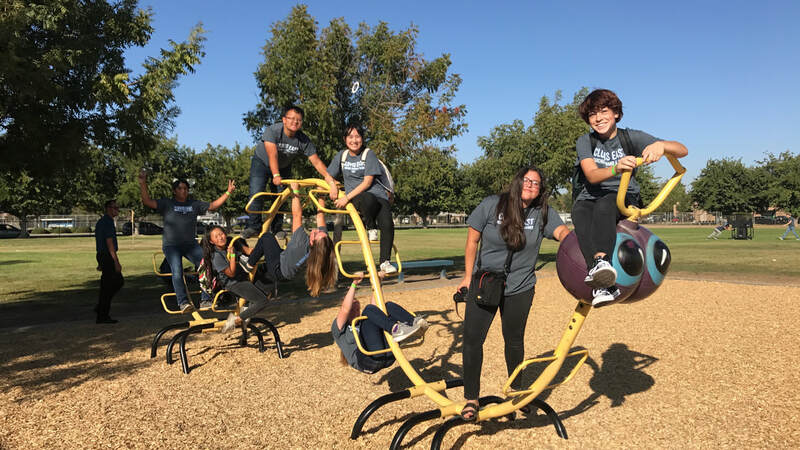 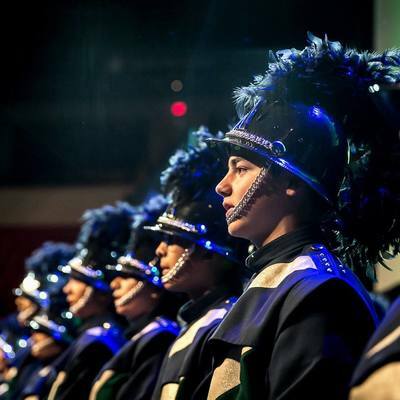 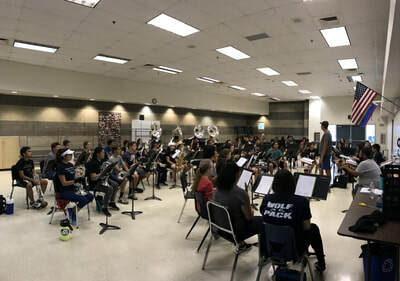 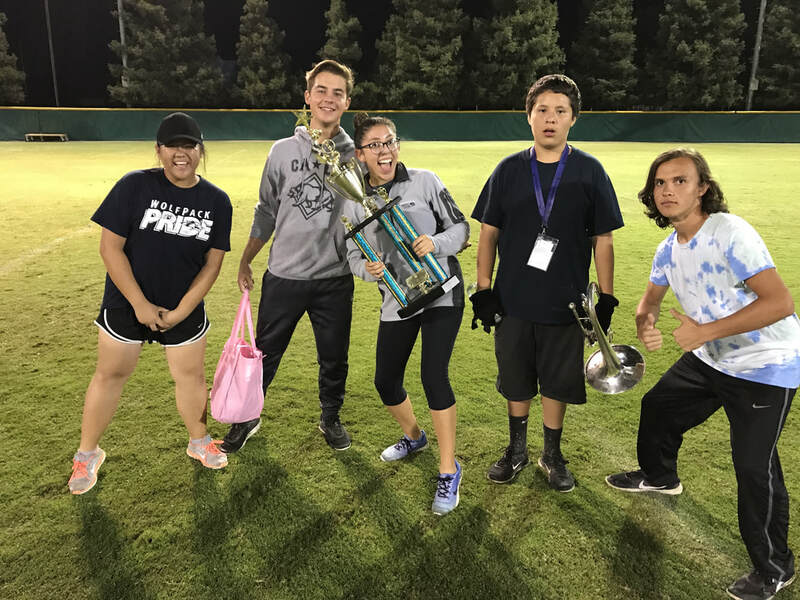 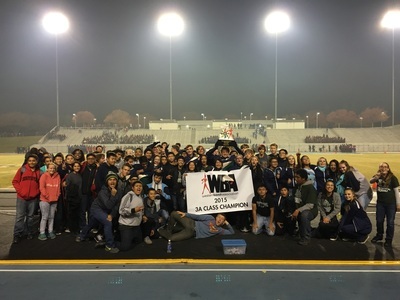 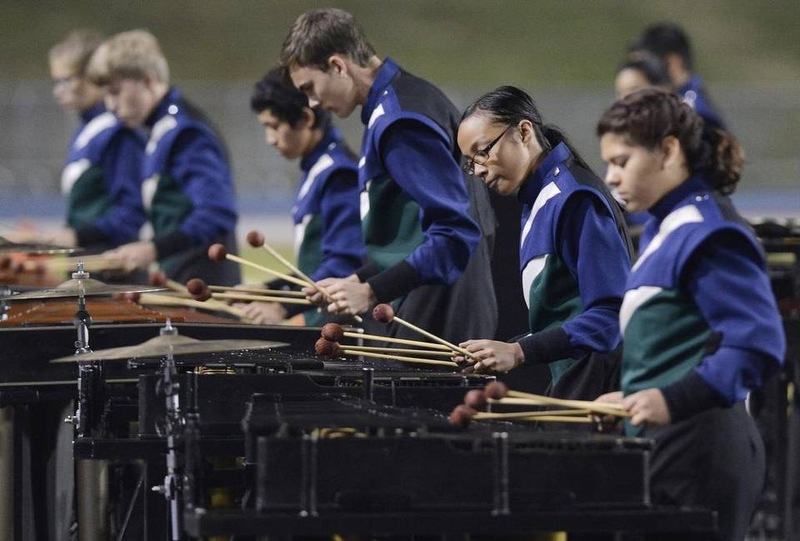 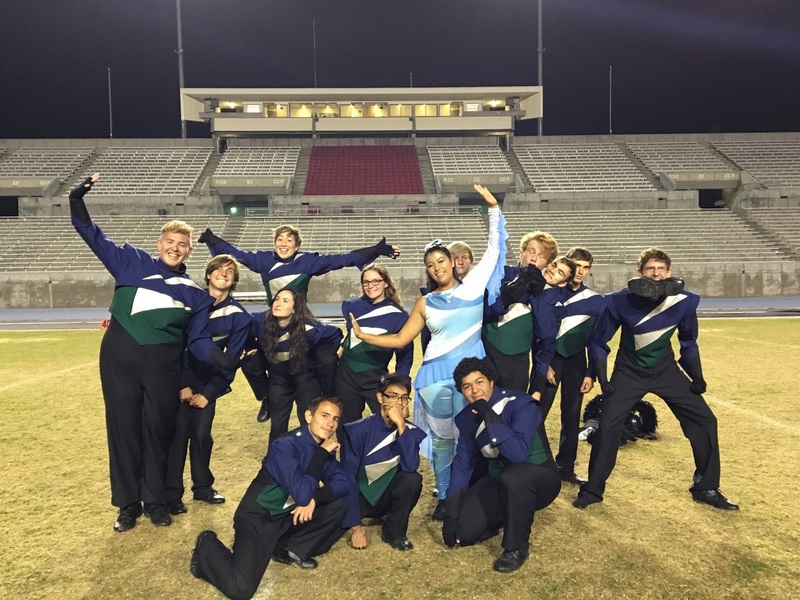 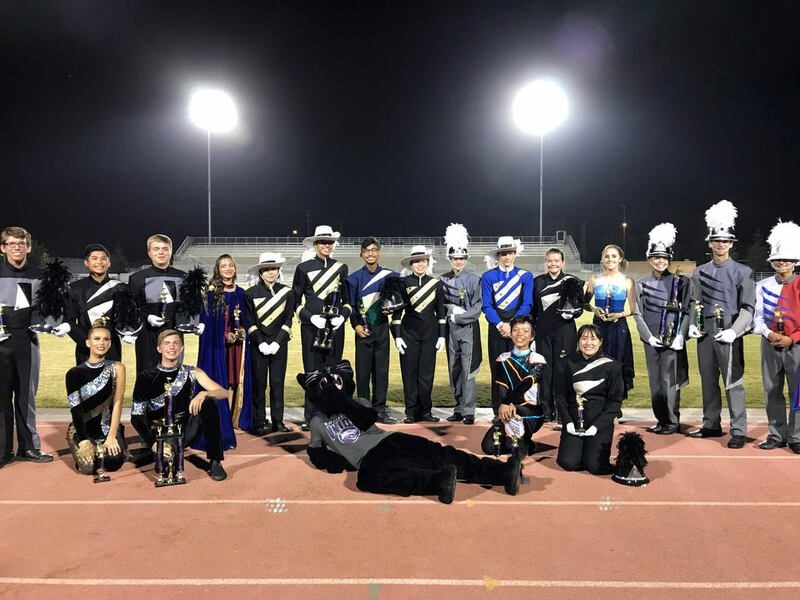 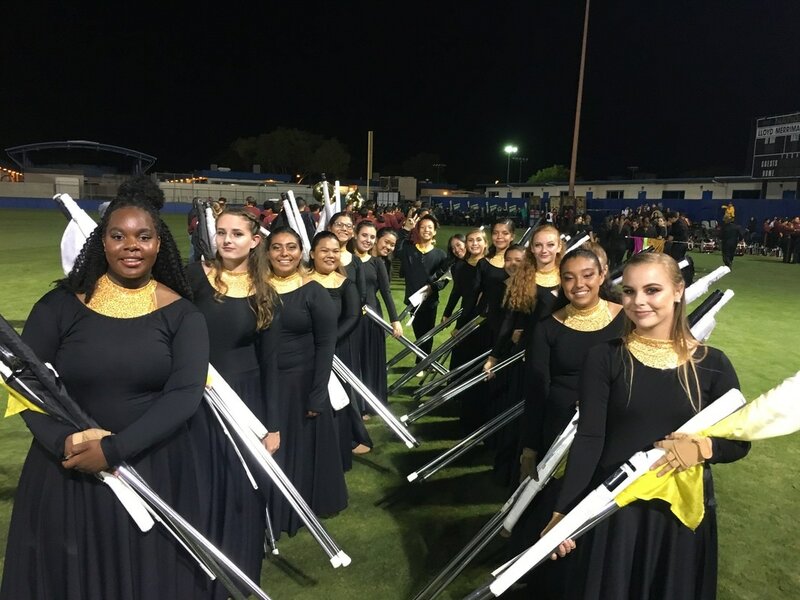 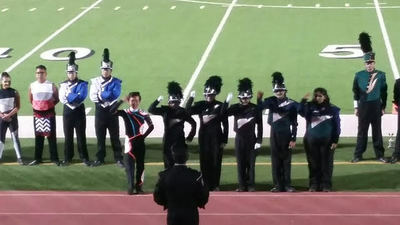 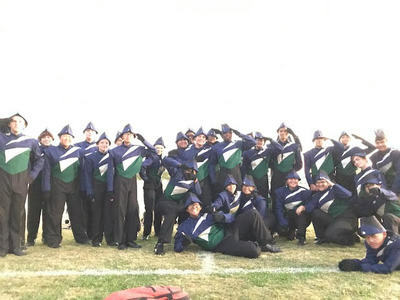 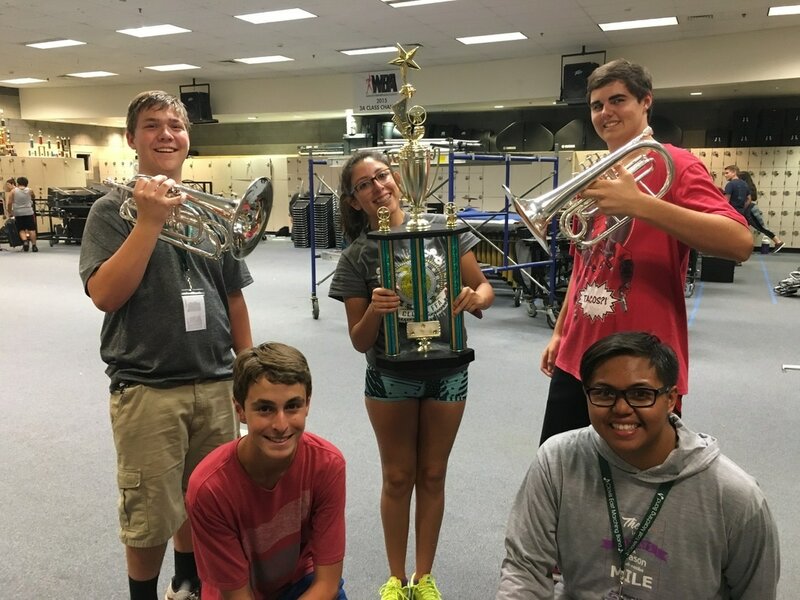 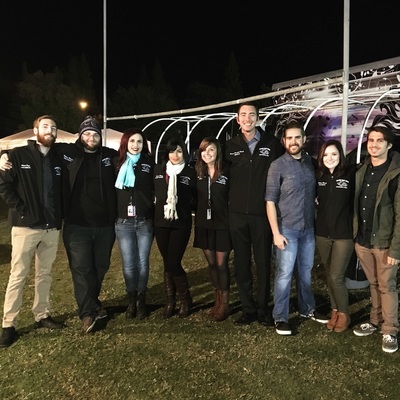 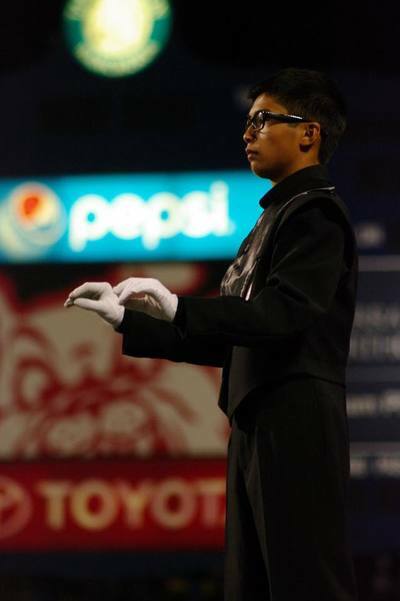 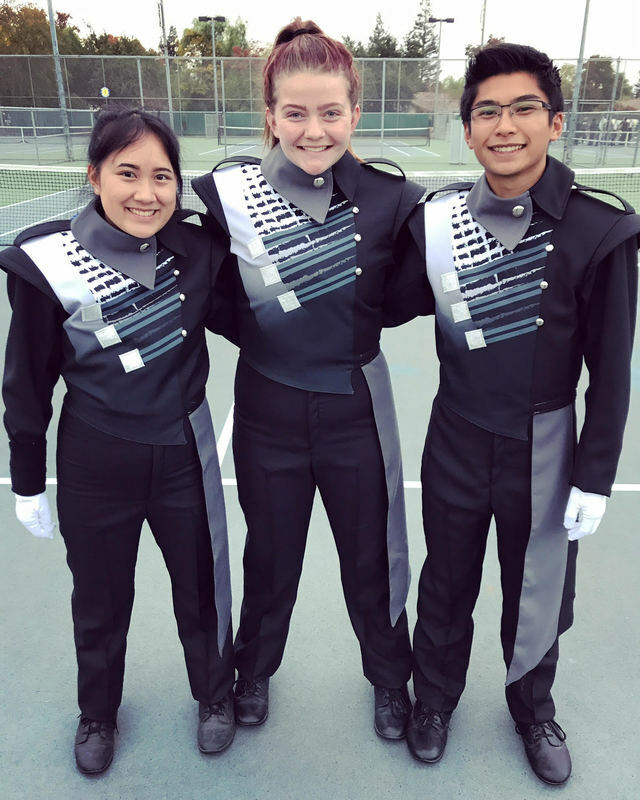 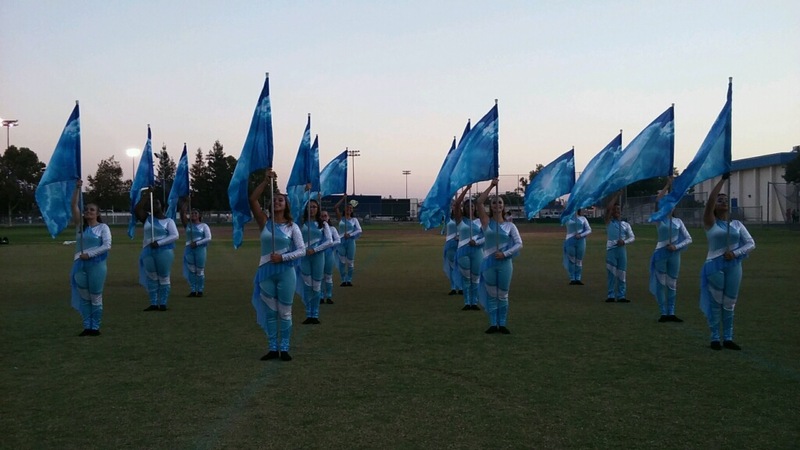 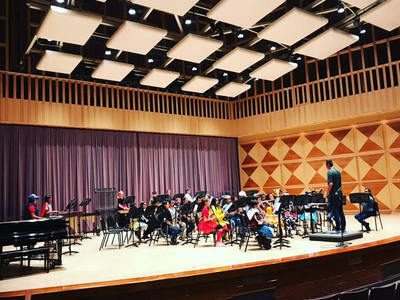 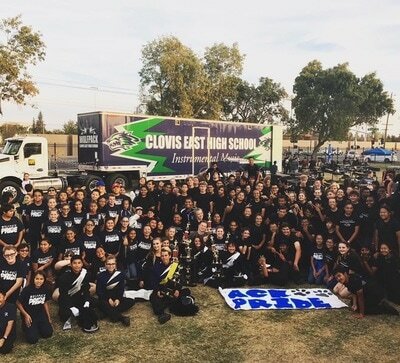 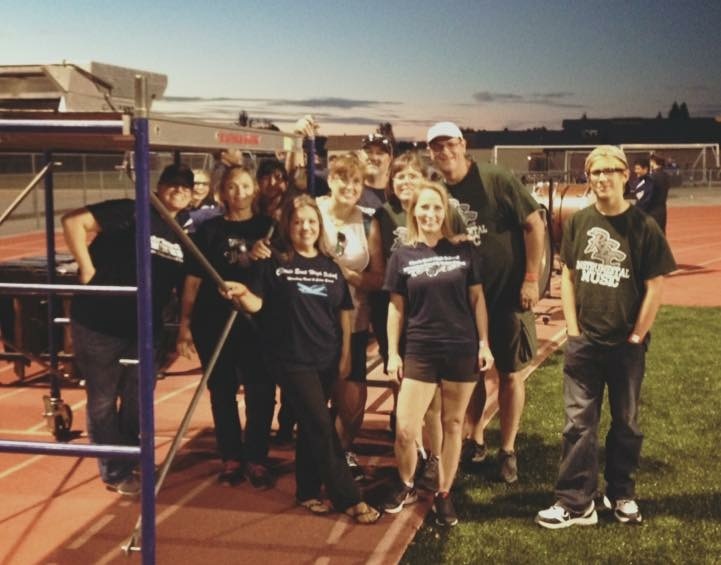 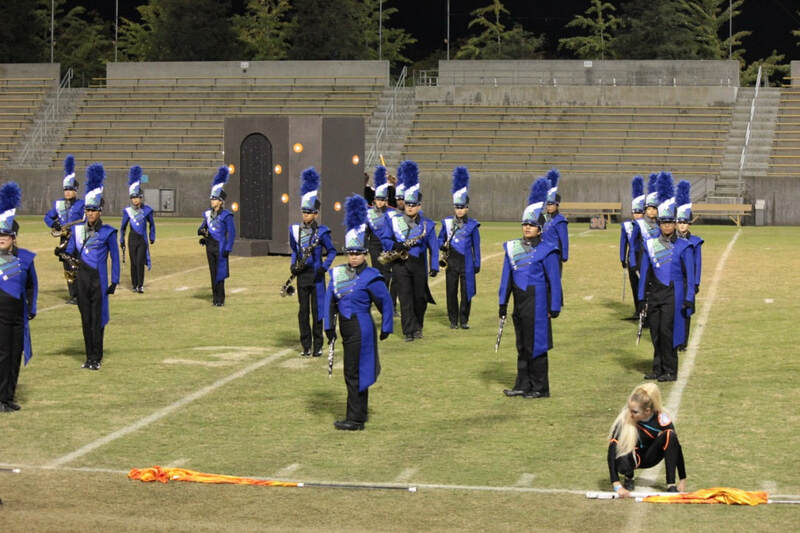 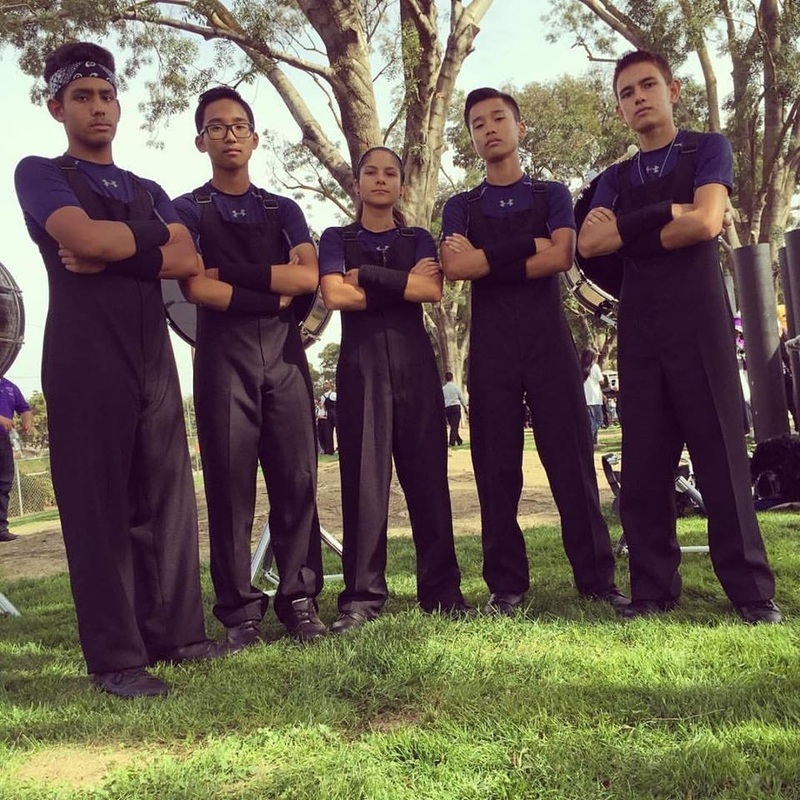 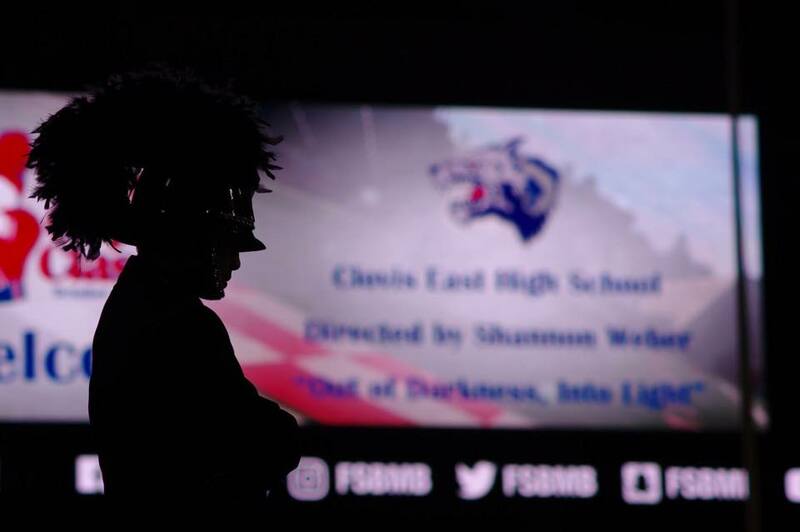 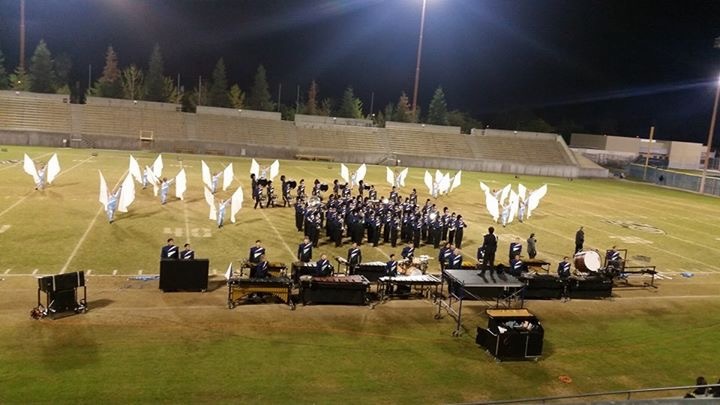 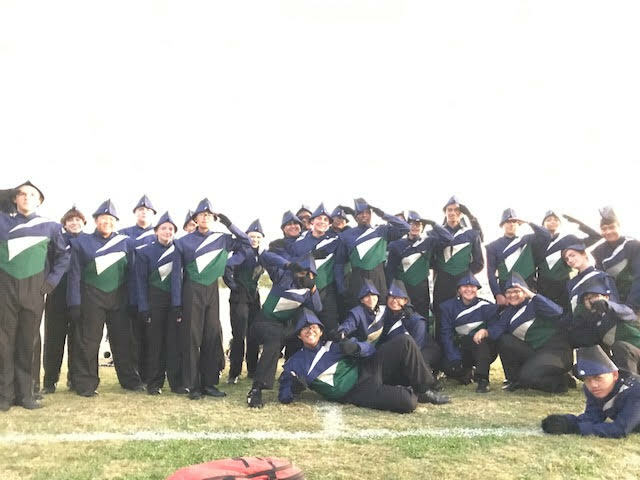 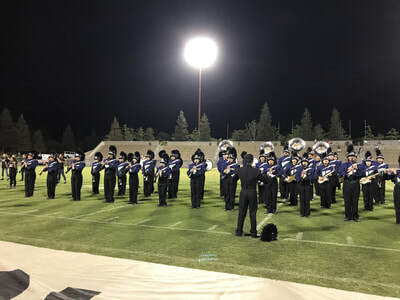 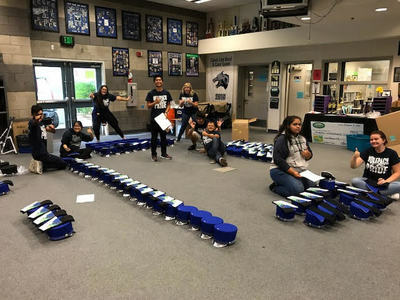 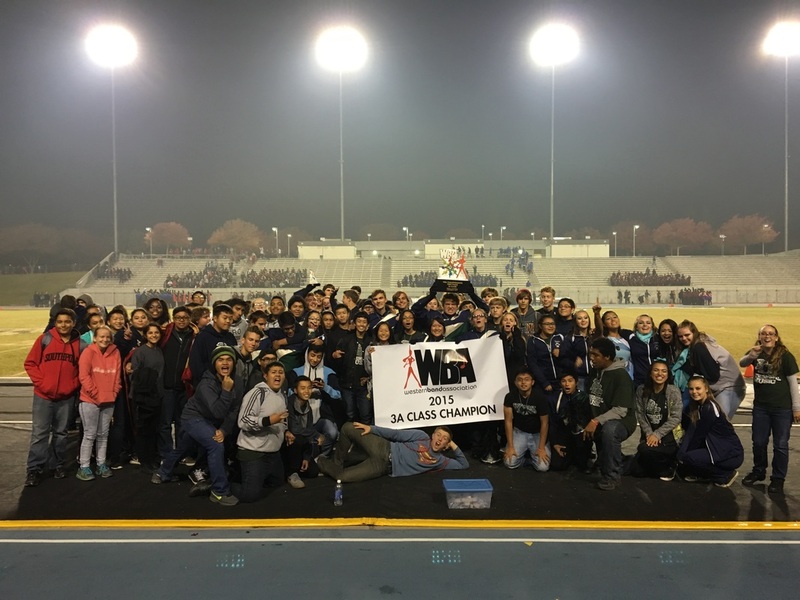 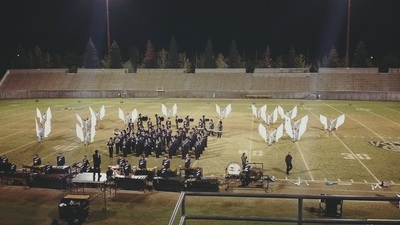 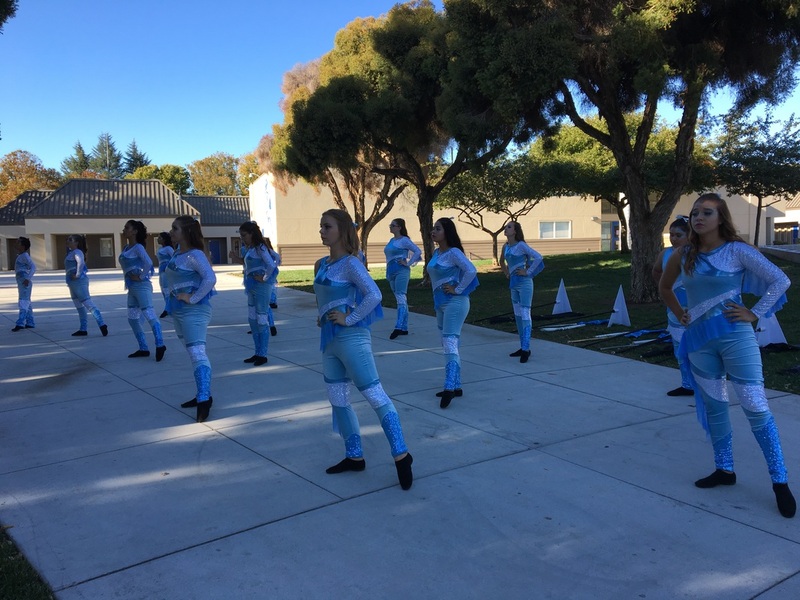 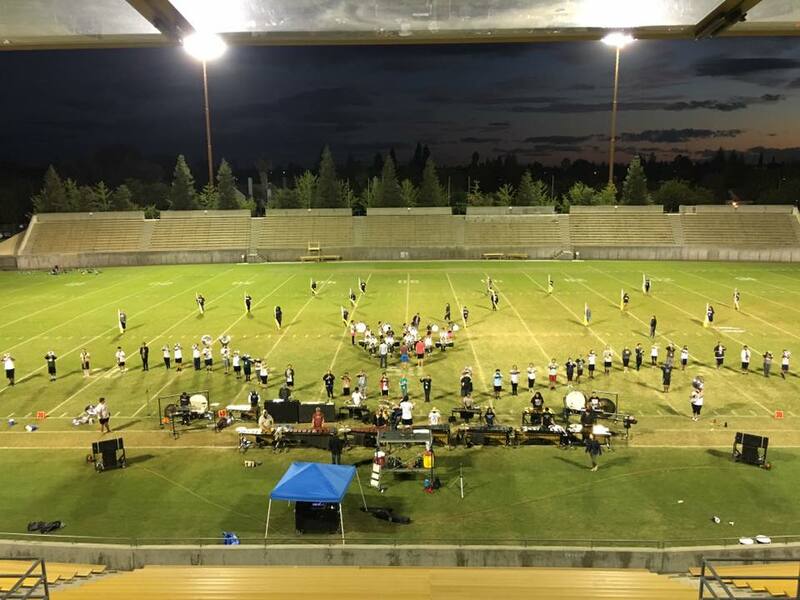 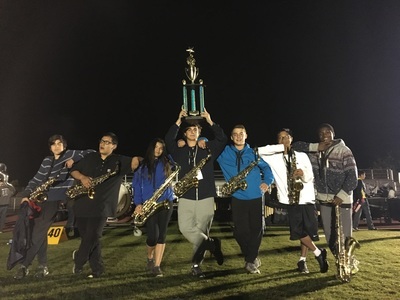 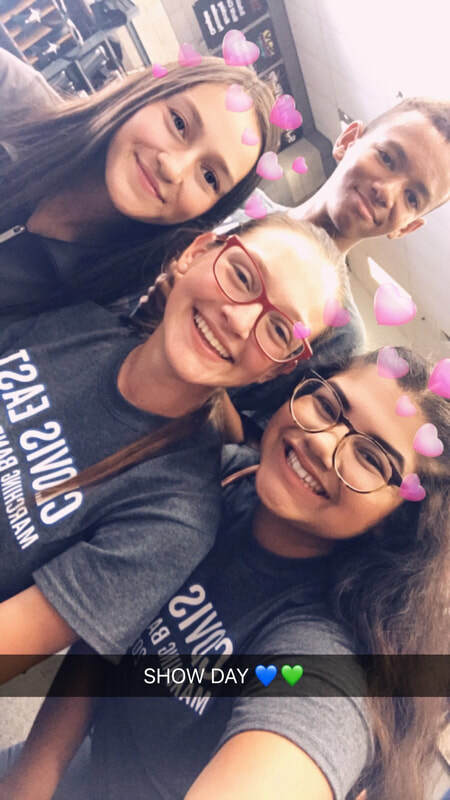 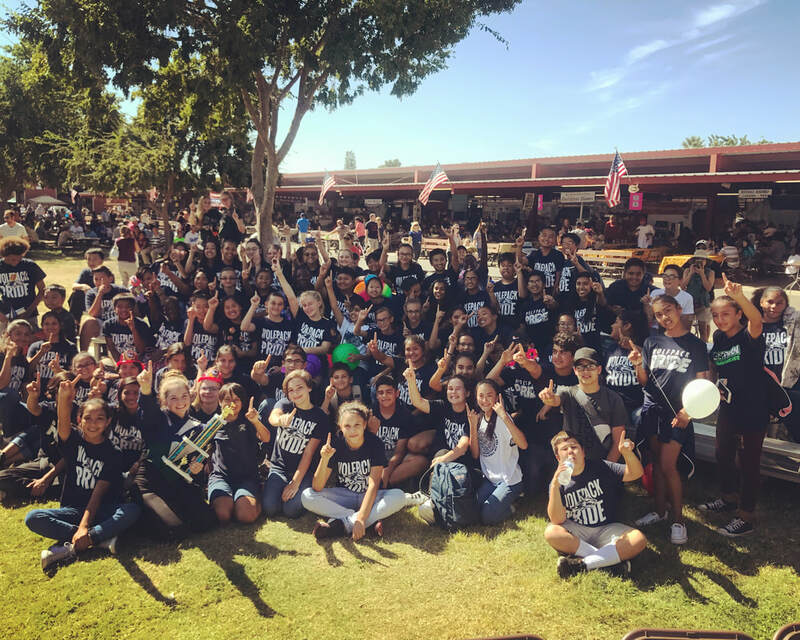 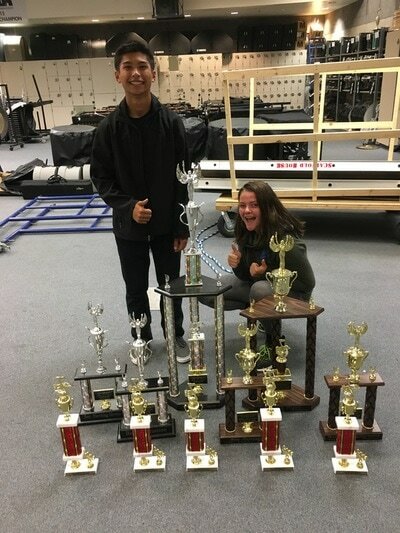 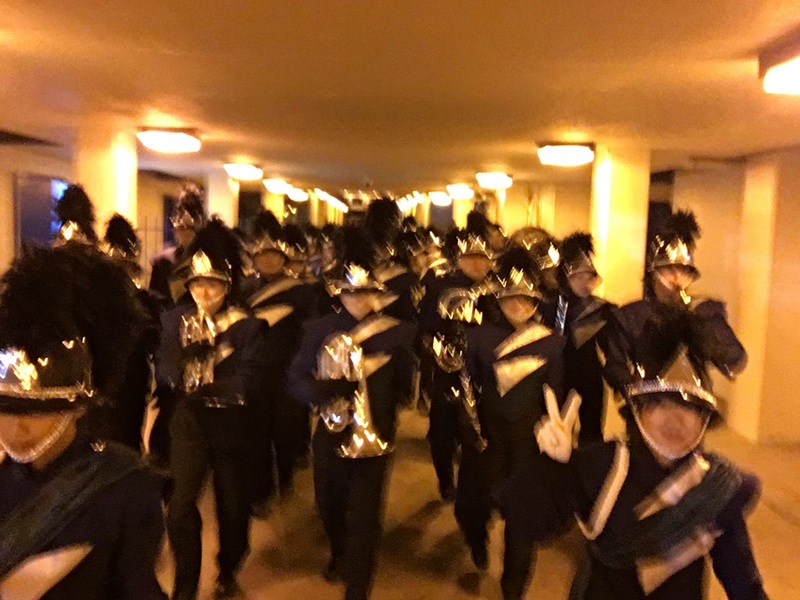 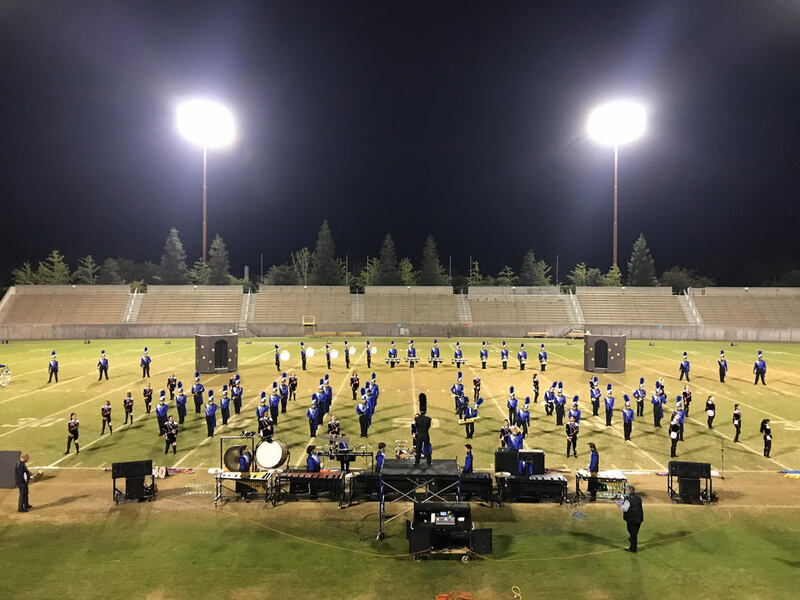 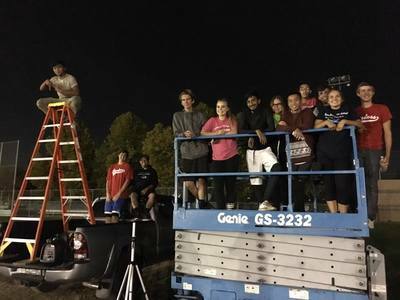 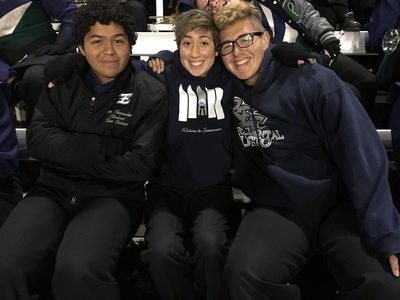 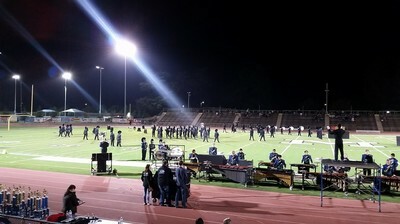 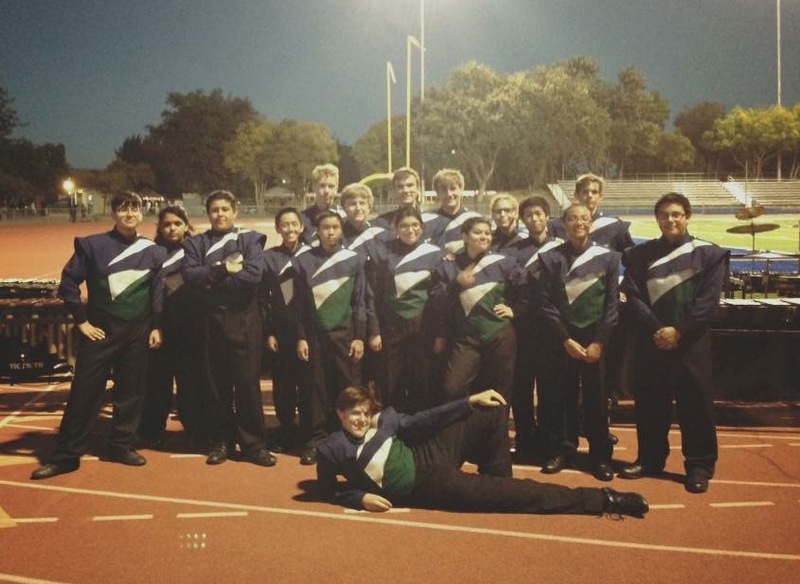 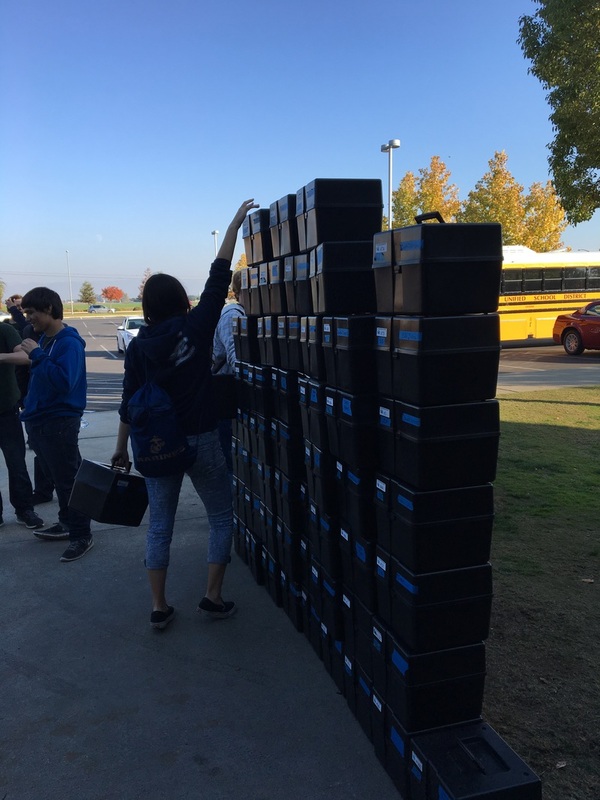 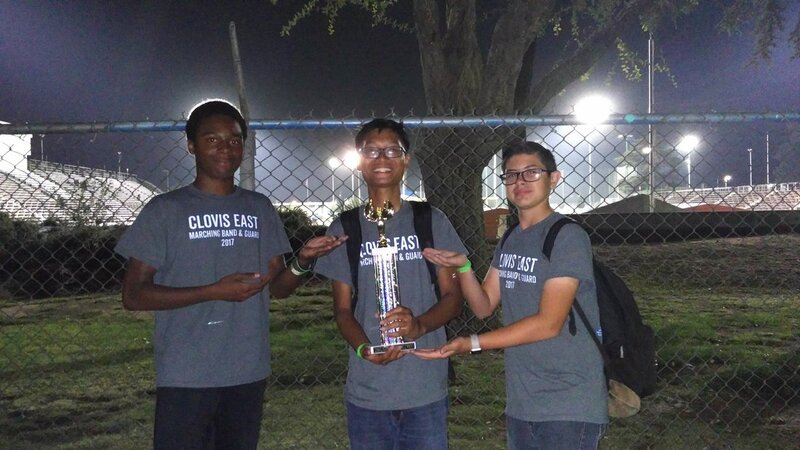 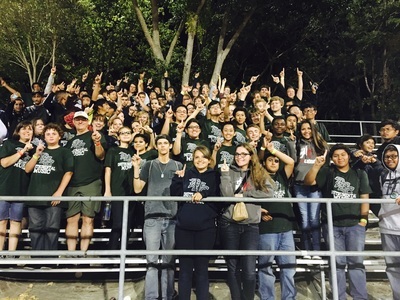 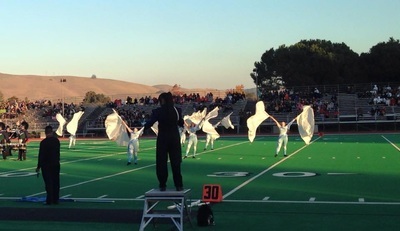 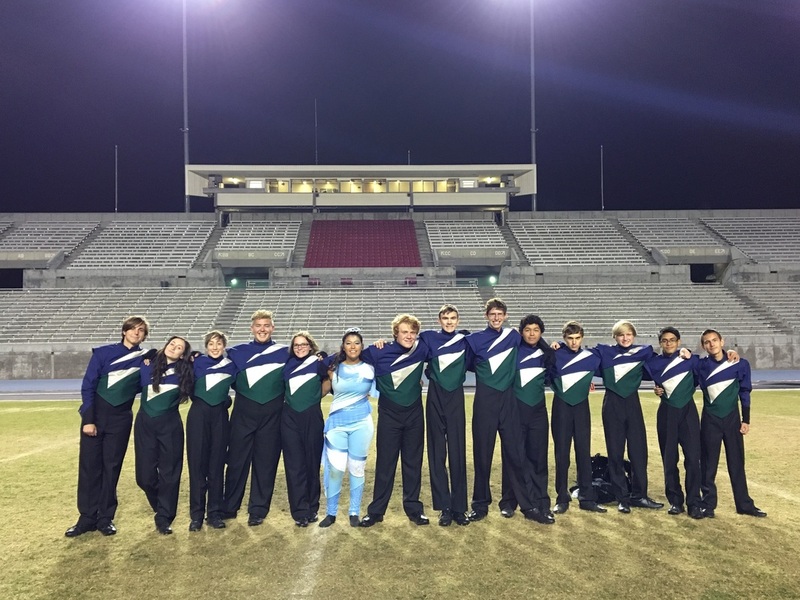 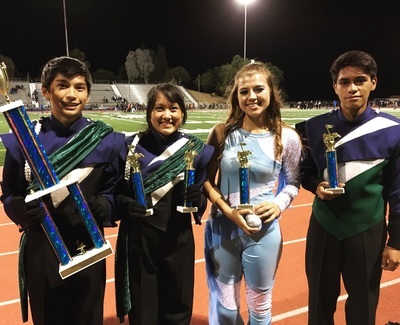 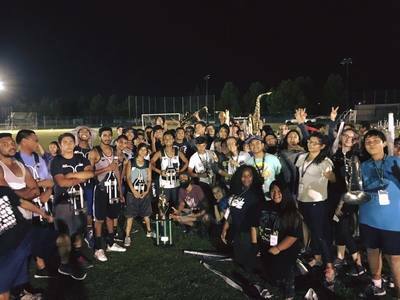 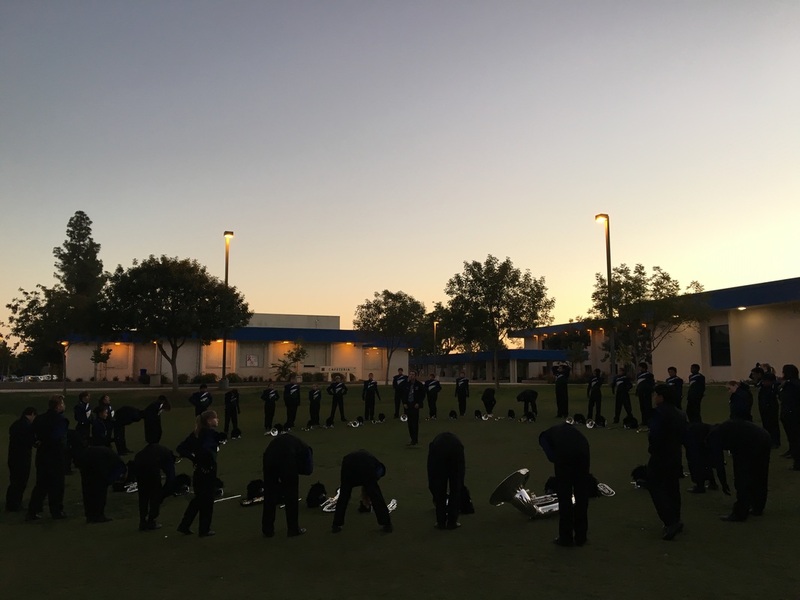 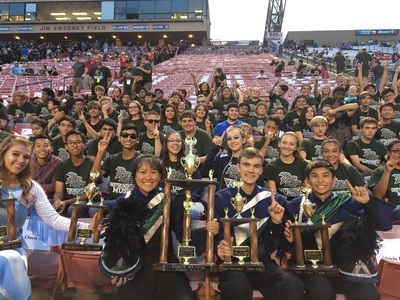 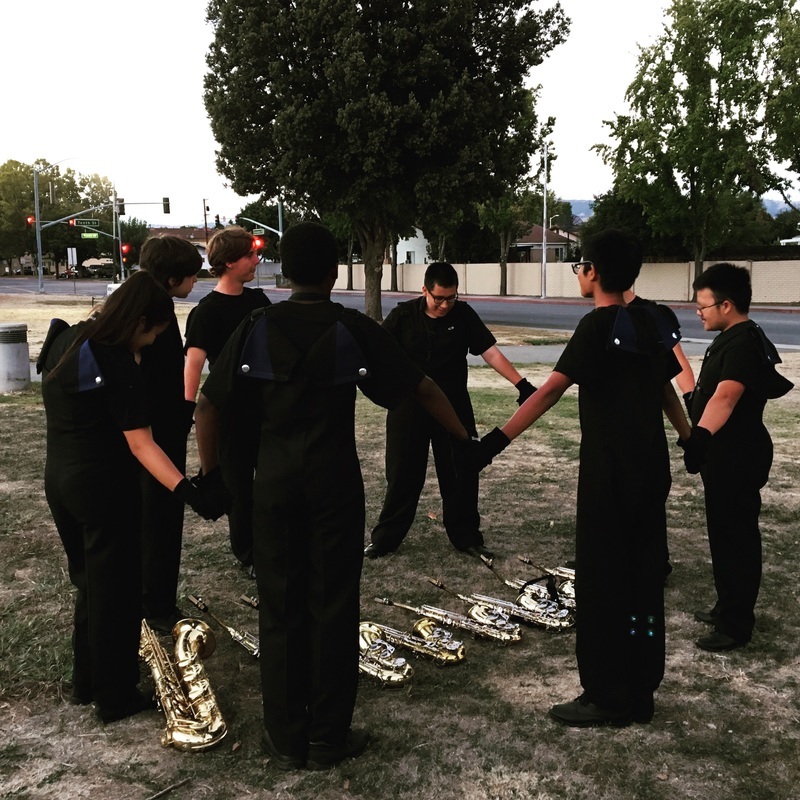 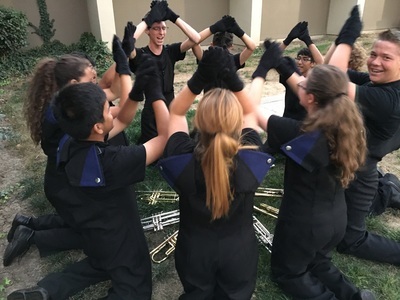 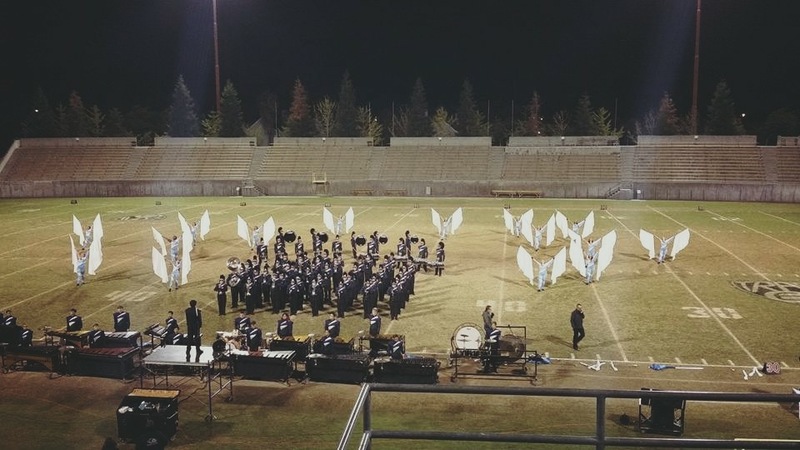 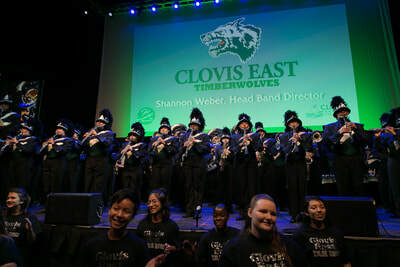 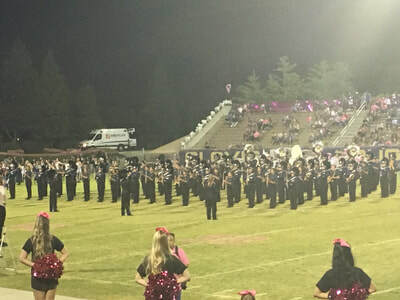 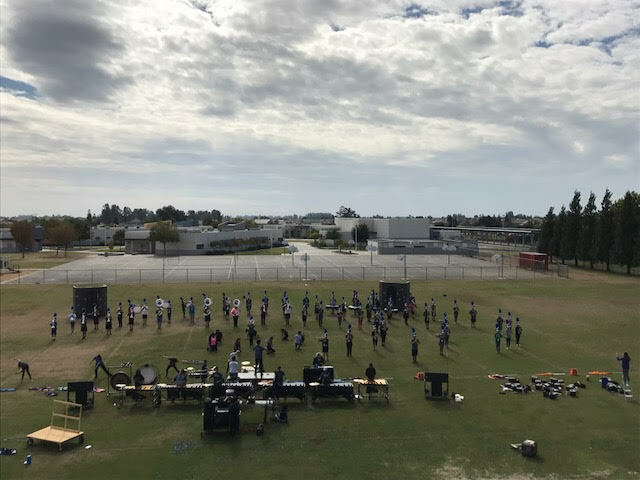 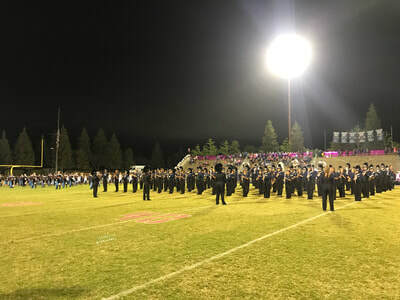 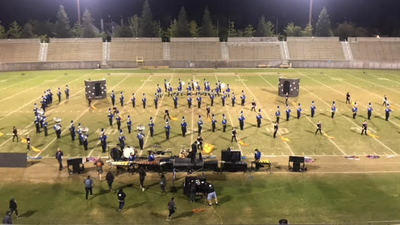 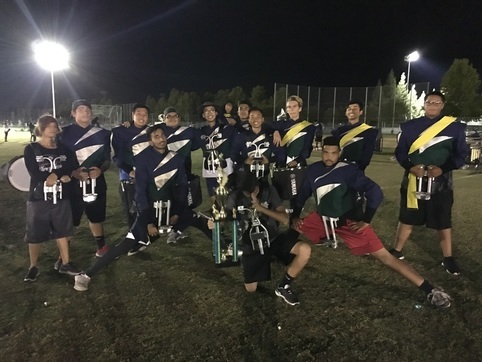 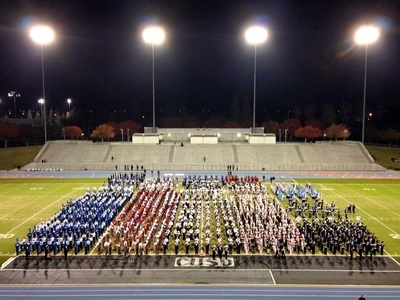 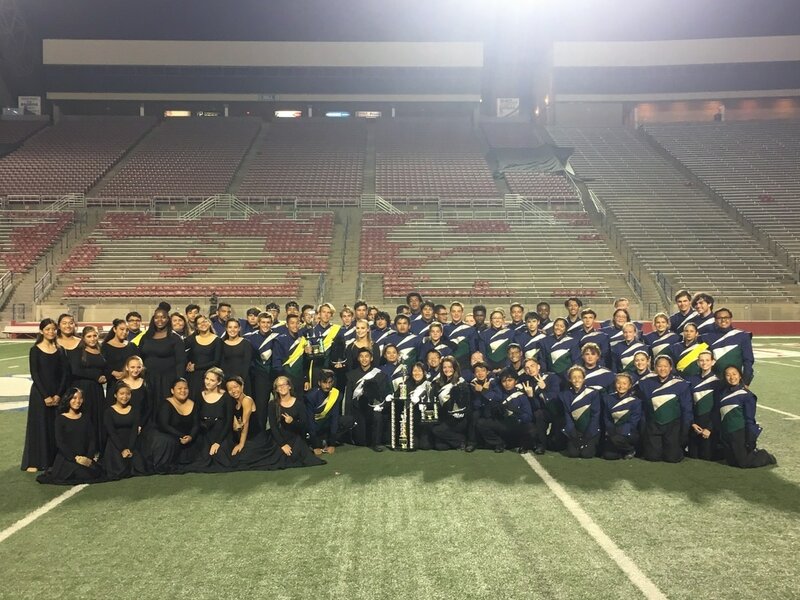 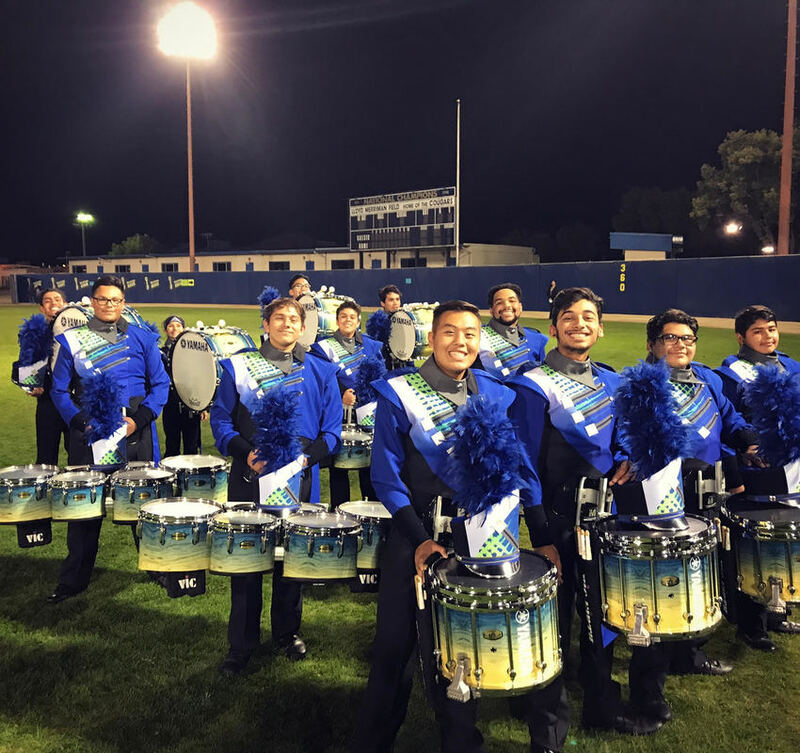 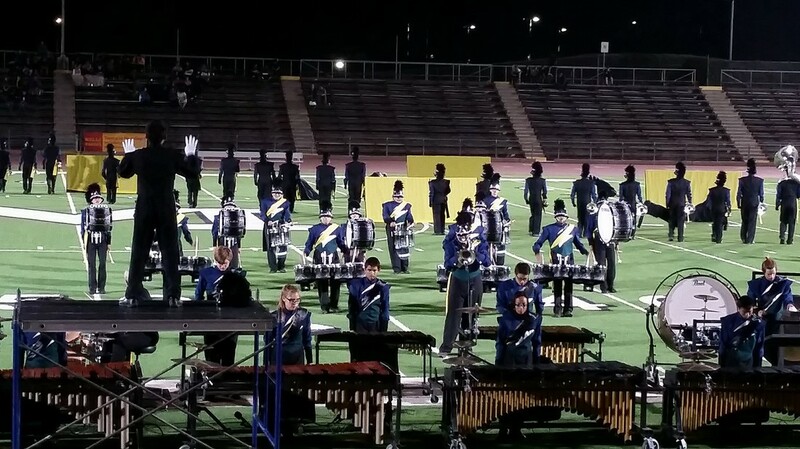 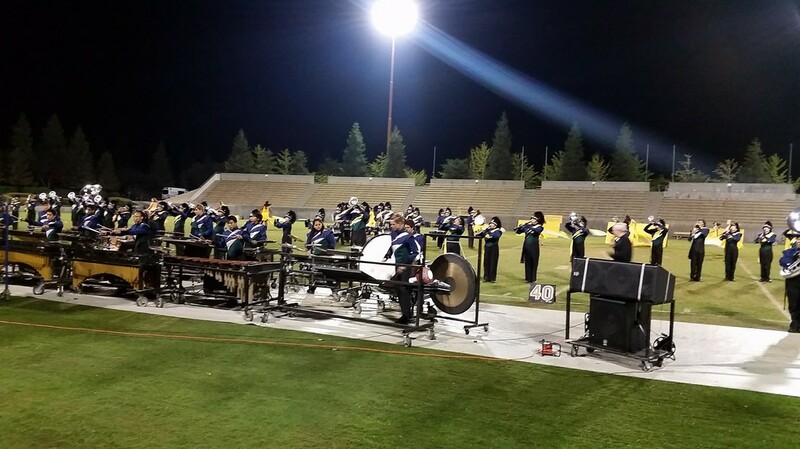 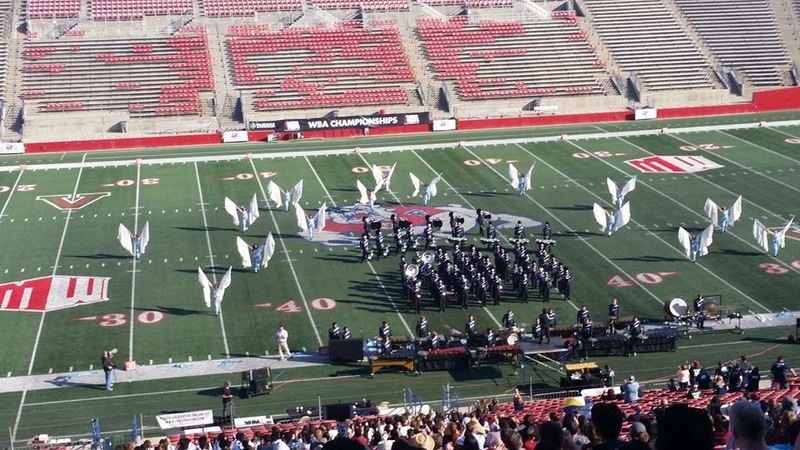 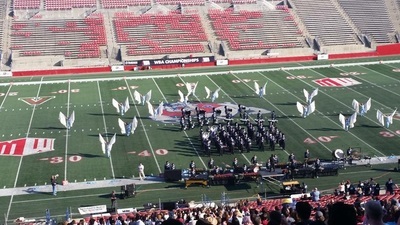 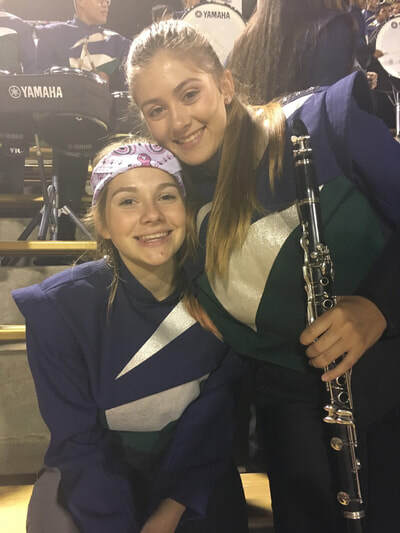 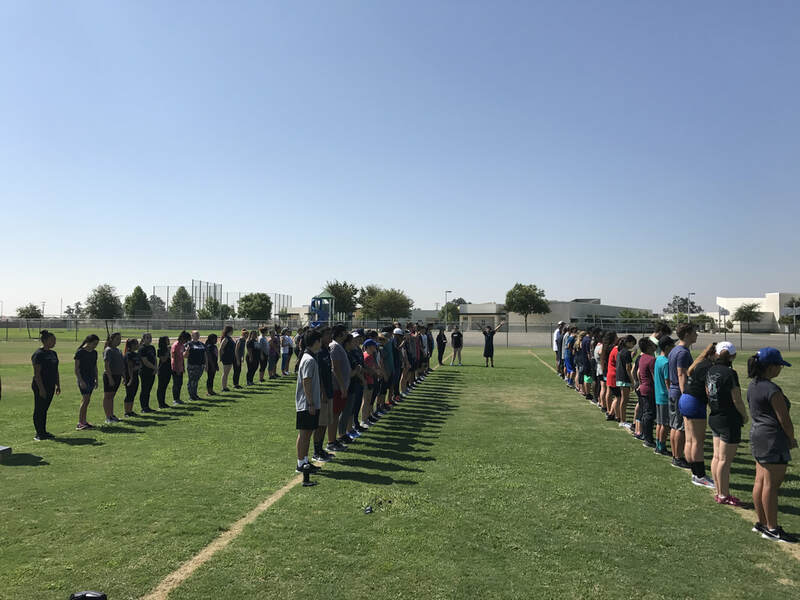 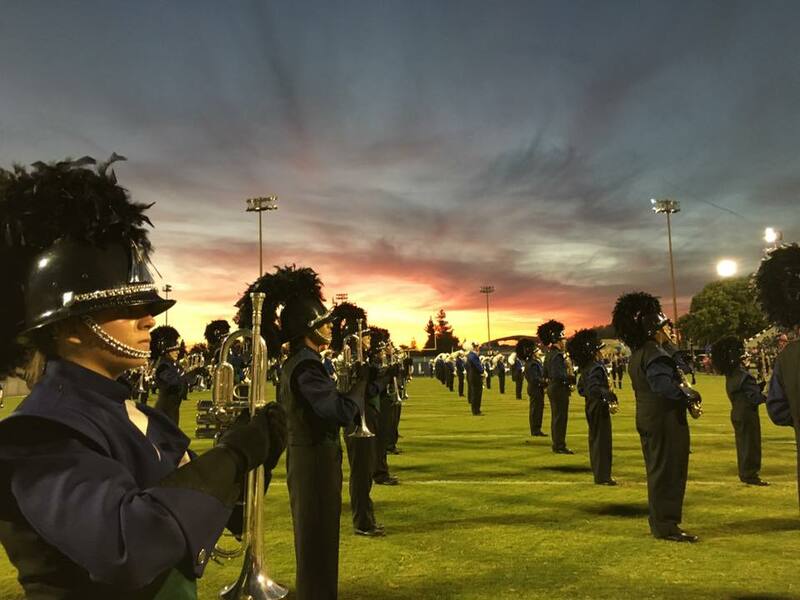 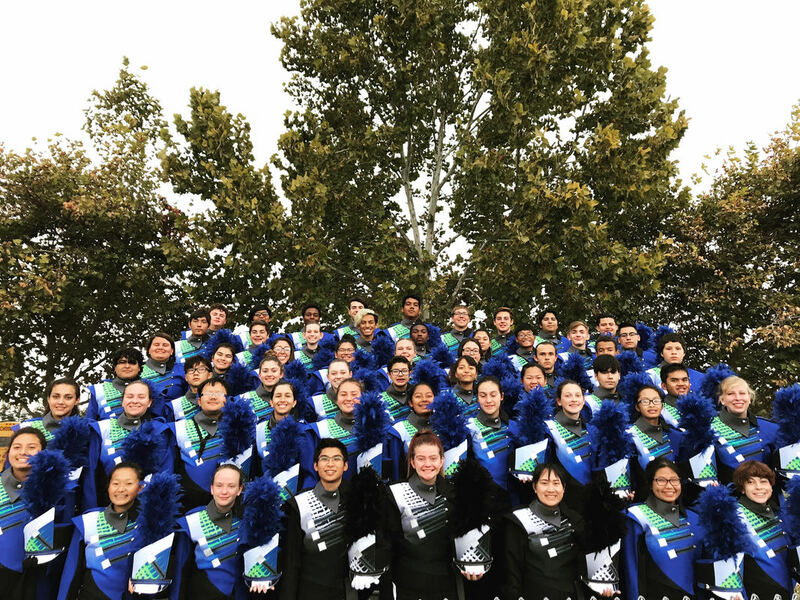 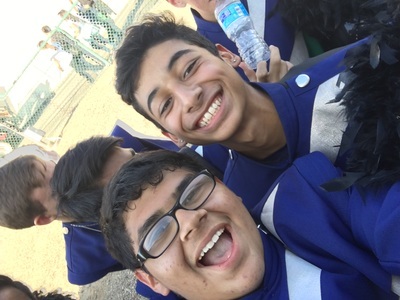 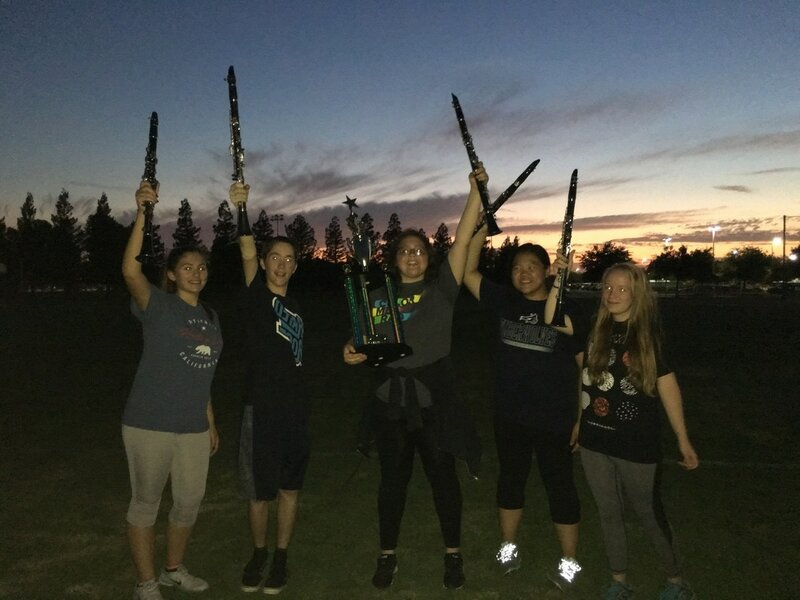 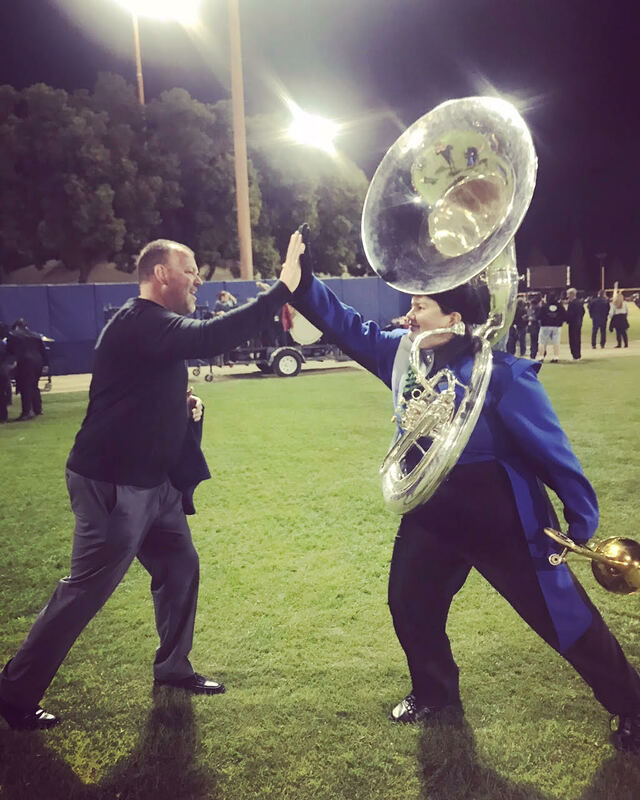 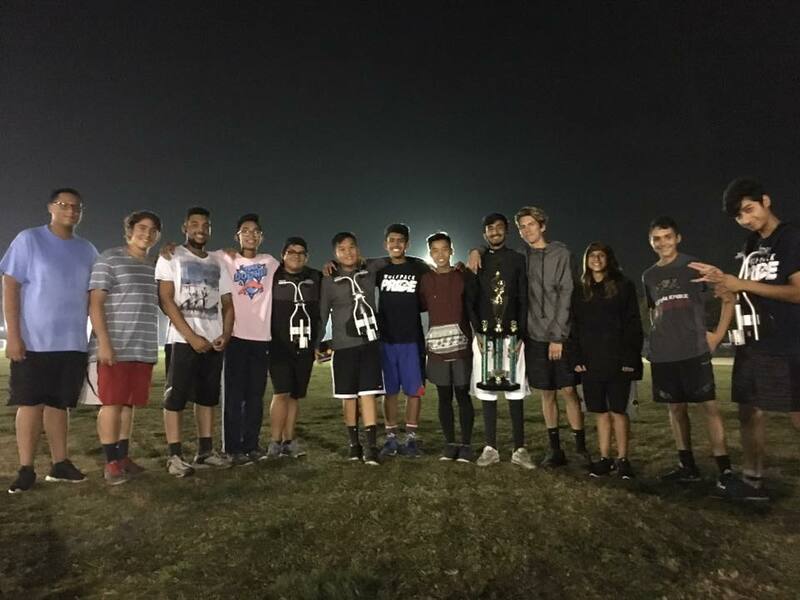 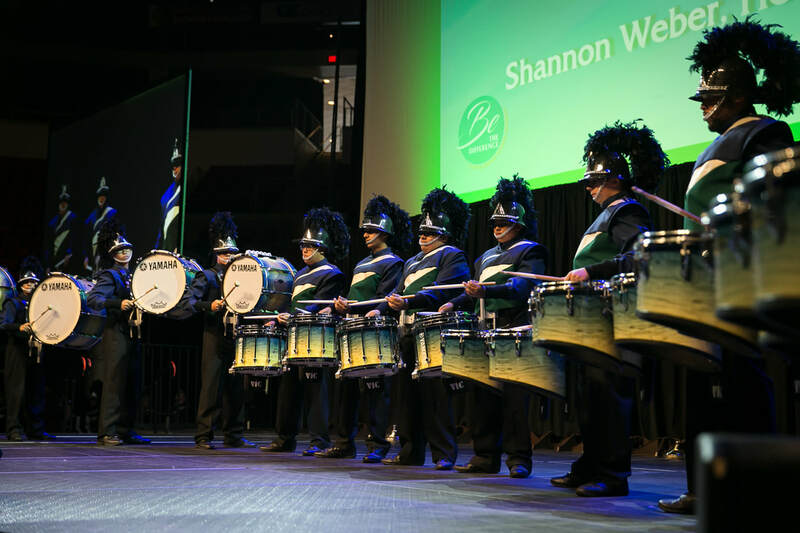 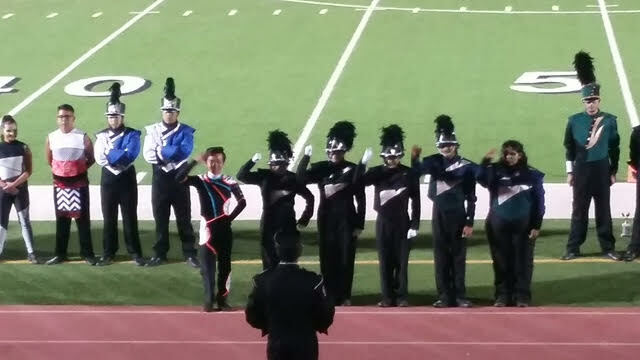 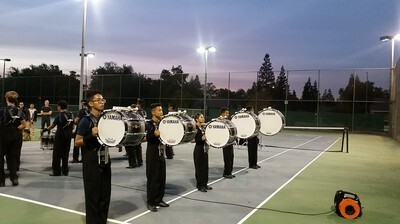 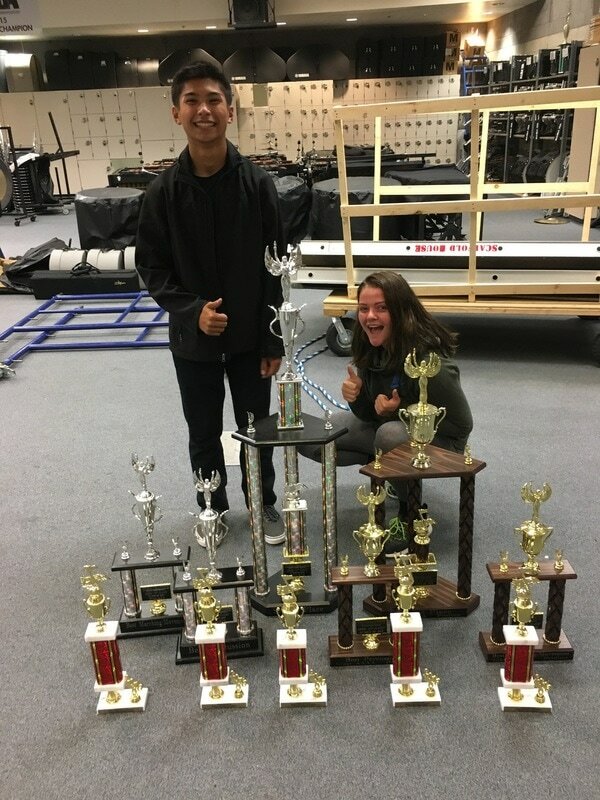 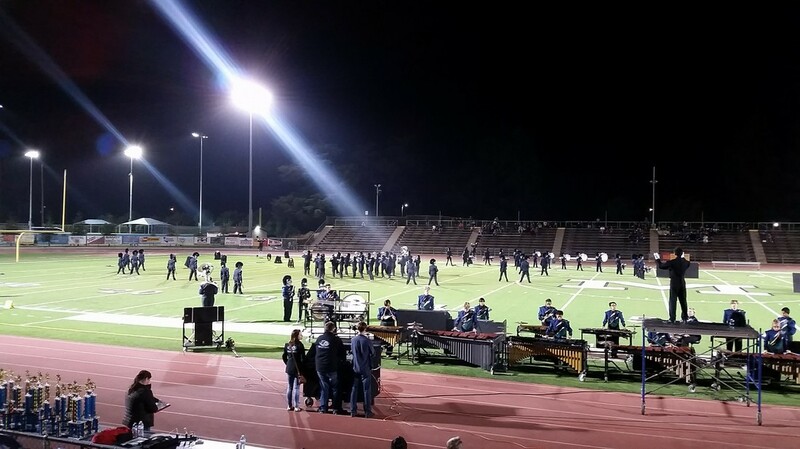 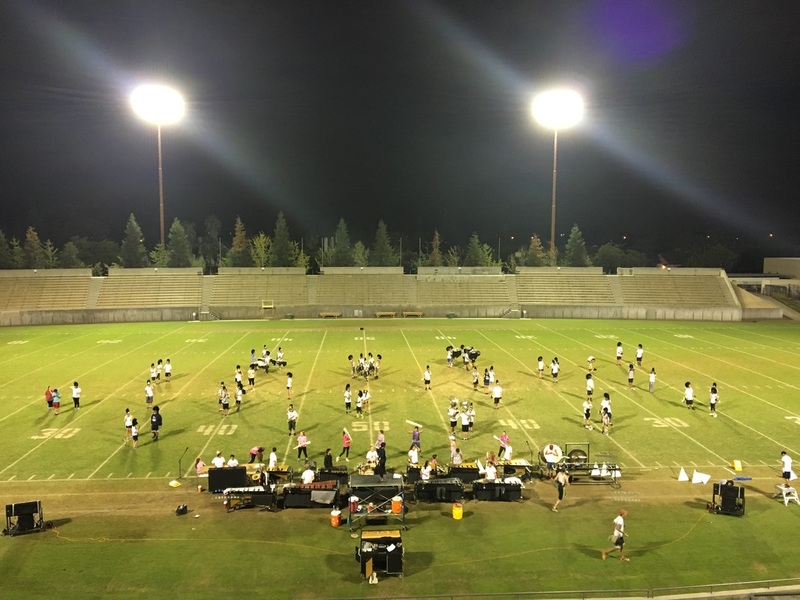 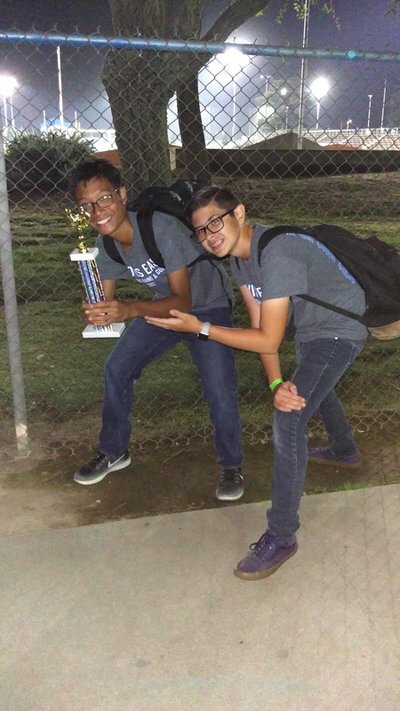 Marching Band is an in class and after school commitment that entails preparing a competition field show for the Western Band Association, as well as performing at all school football games. 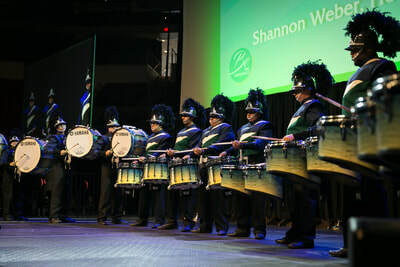 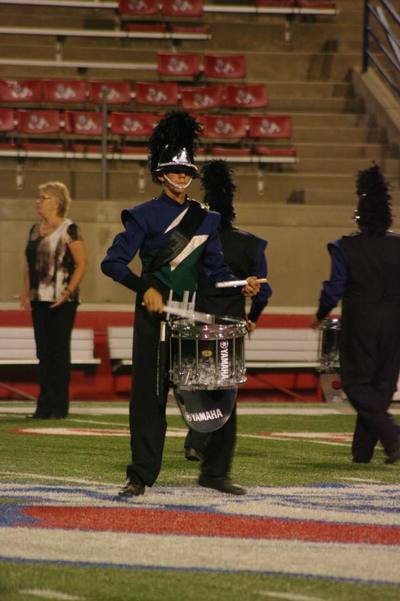 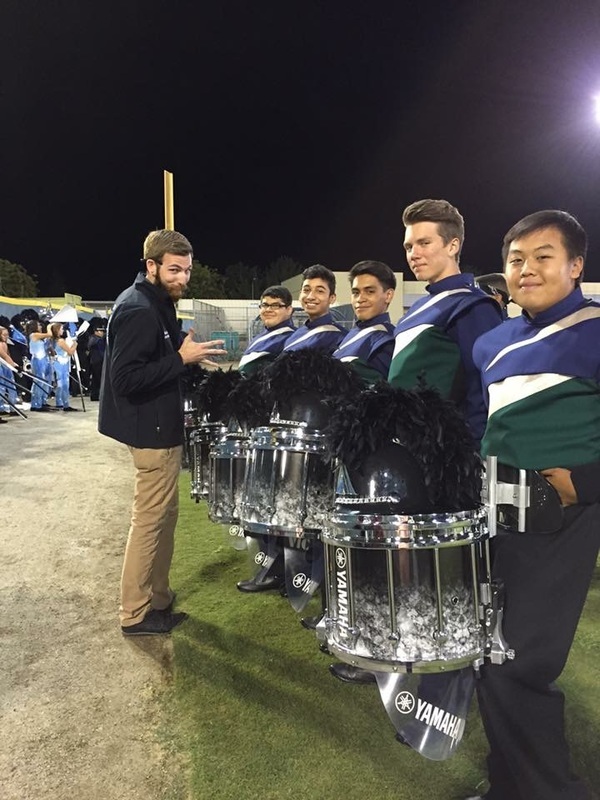 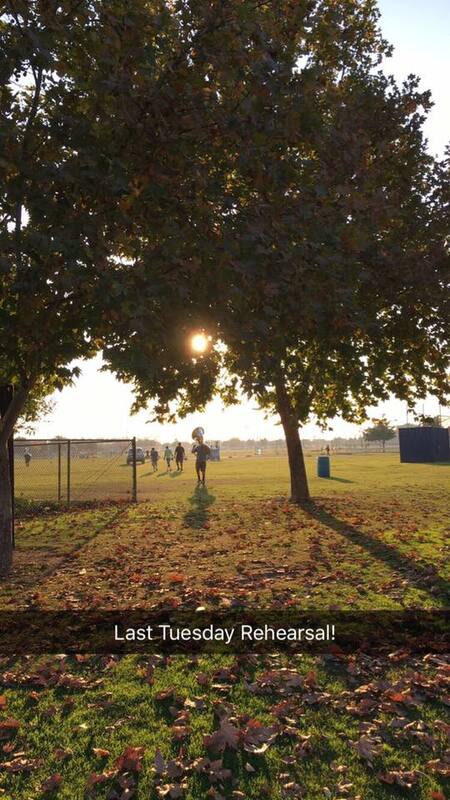 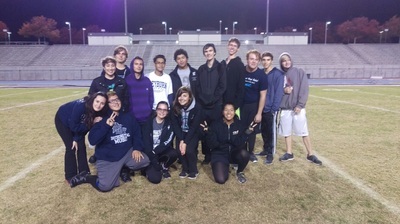 Marching Band is for all percussion, wind, and color guard students. 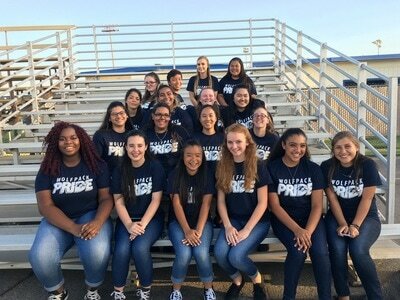 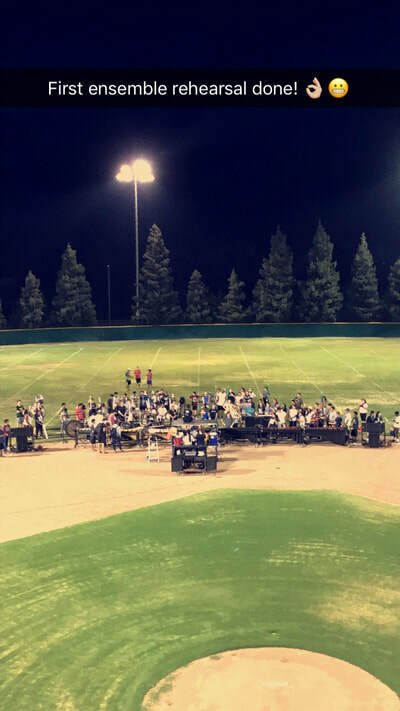 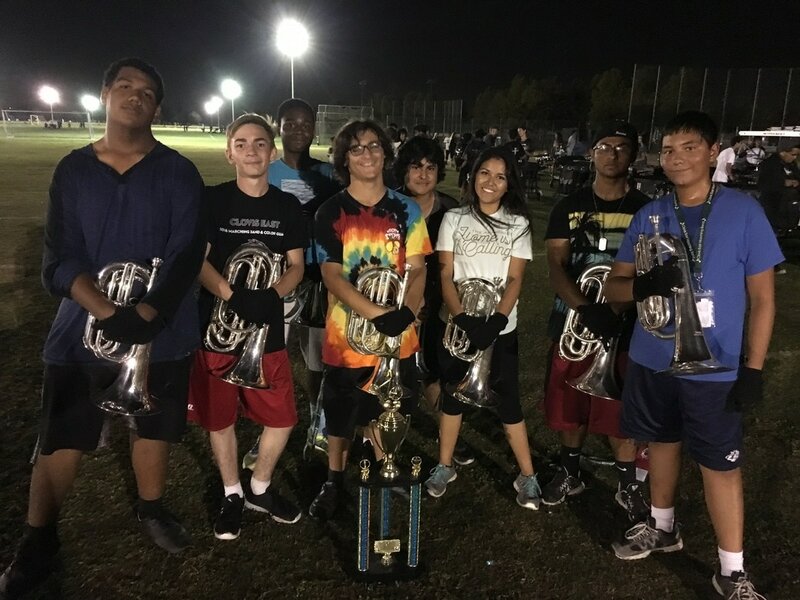 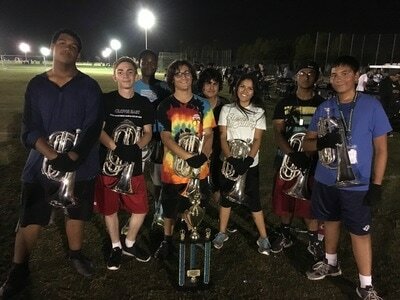 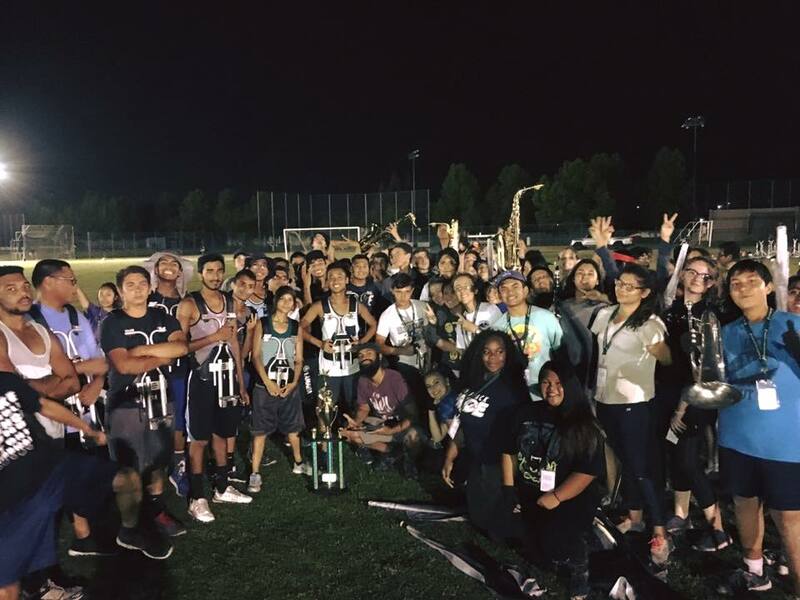 Marching Band will rehearse every Monday from 5-9pm, every Wednesday from 3-6pm, as well as occasional Saturday Rehearsals. 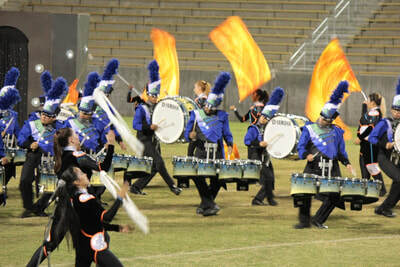 Guard and Percussion students will also have additional rehearsals during the week for this ensemble. 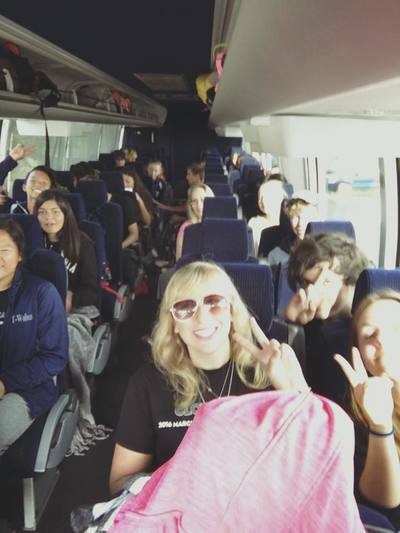 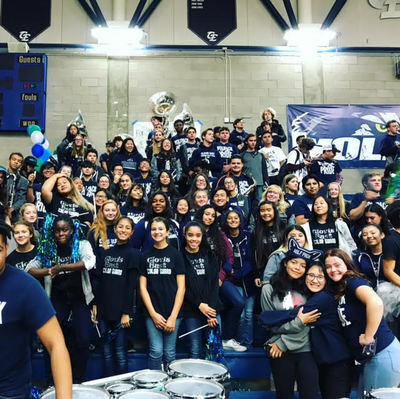 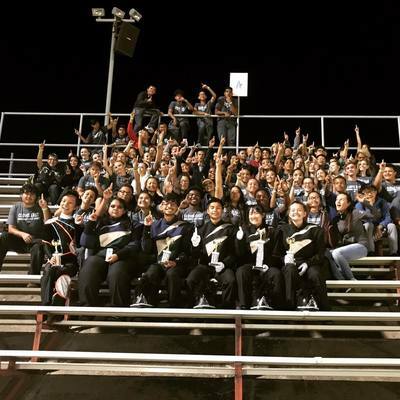 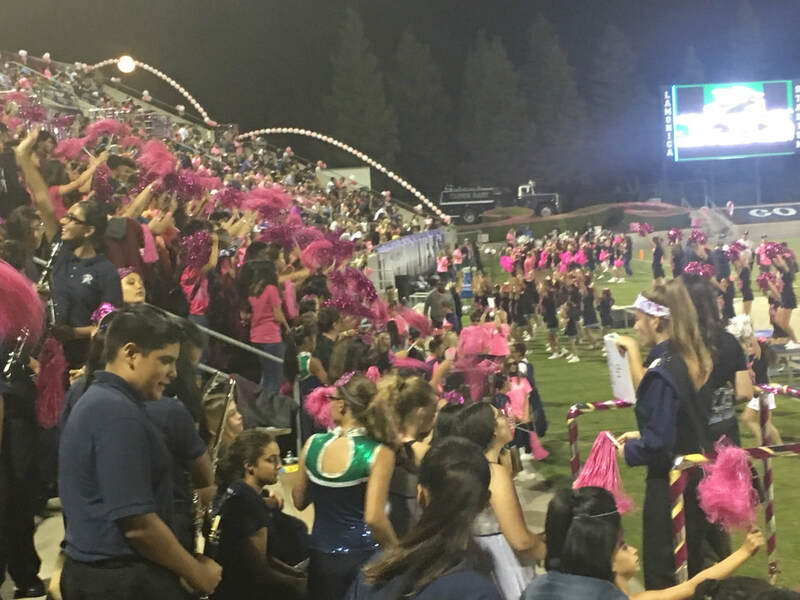 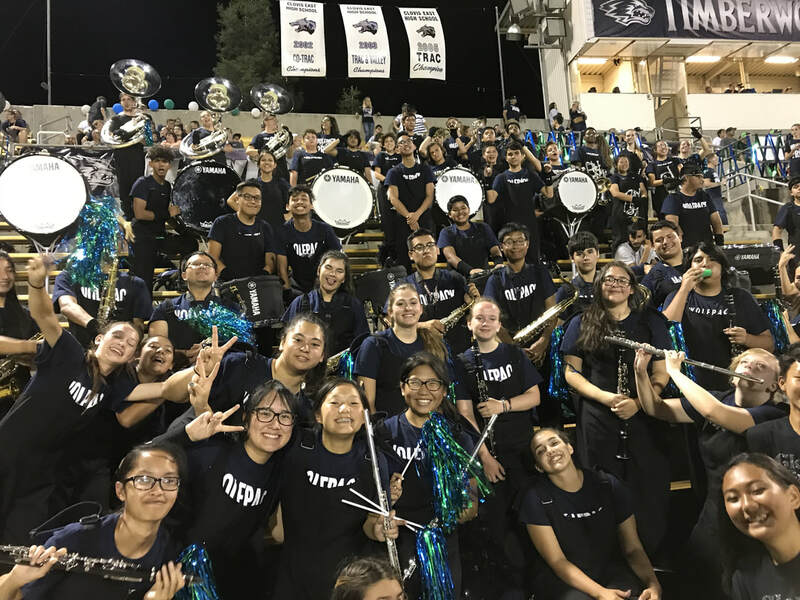 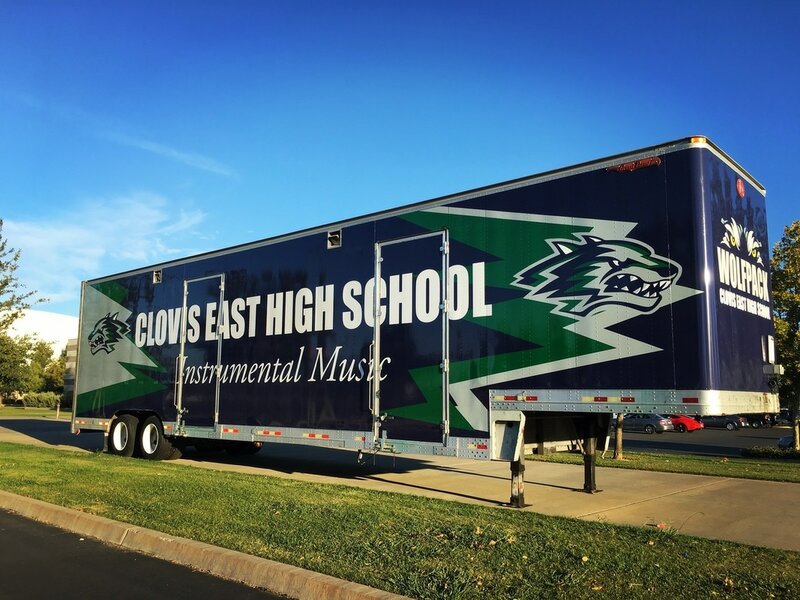 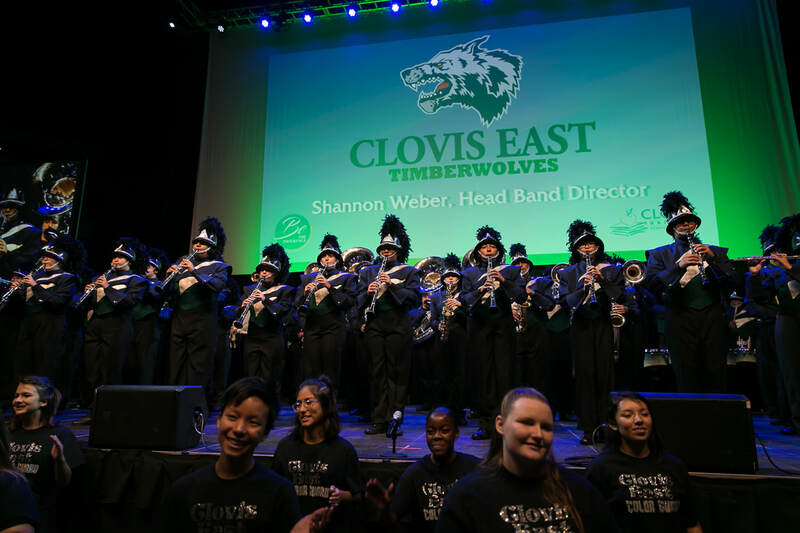 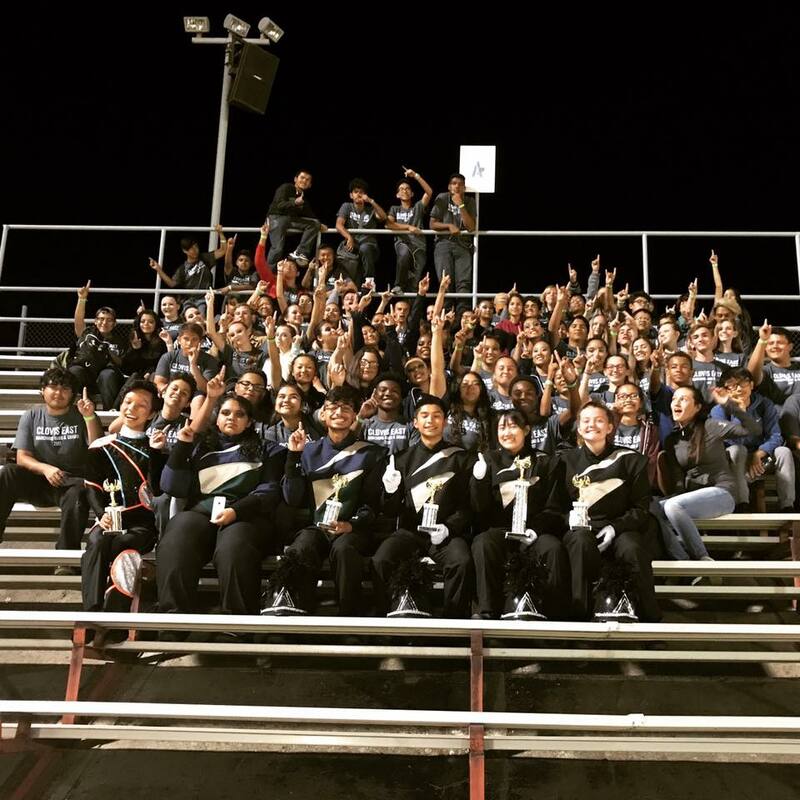 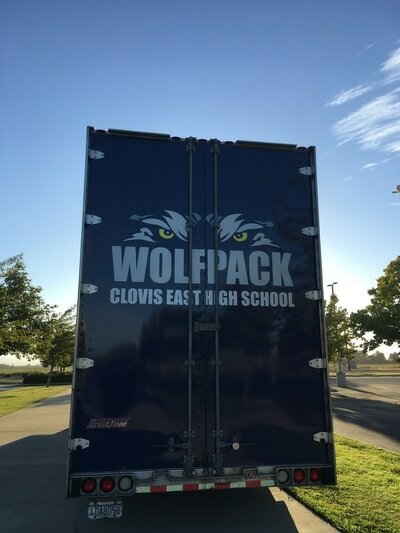 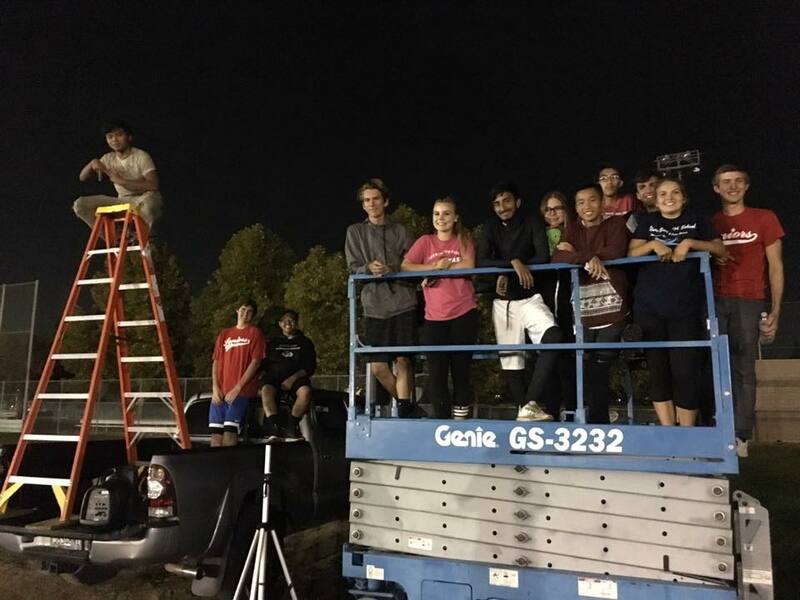 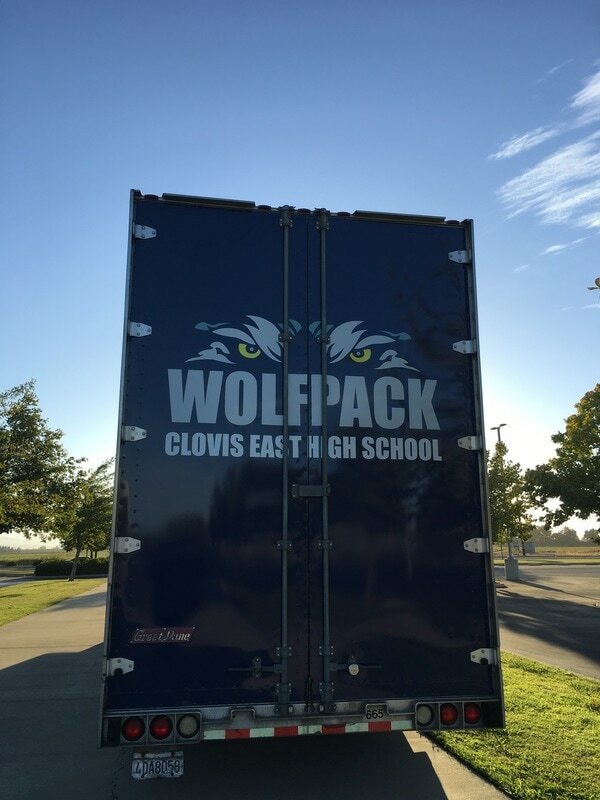 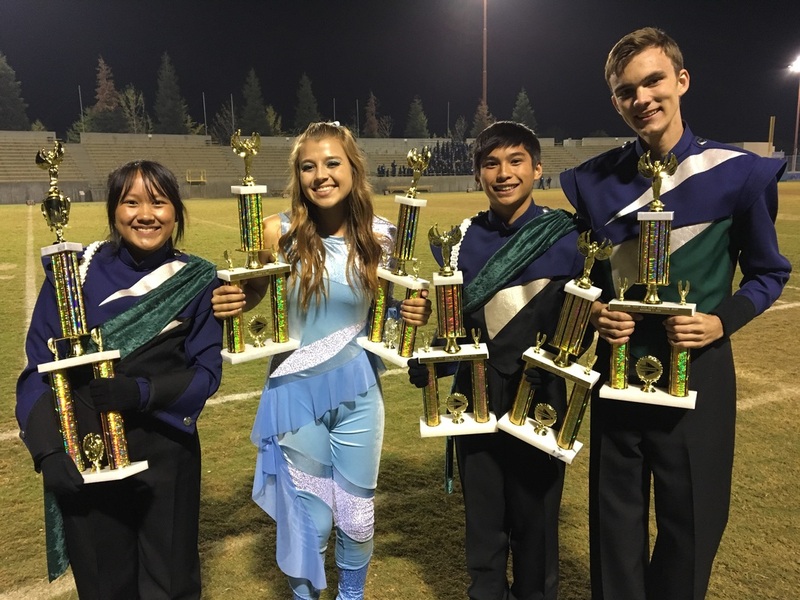 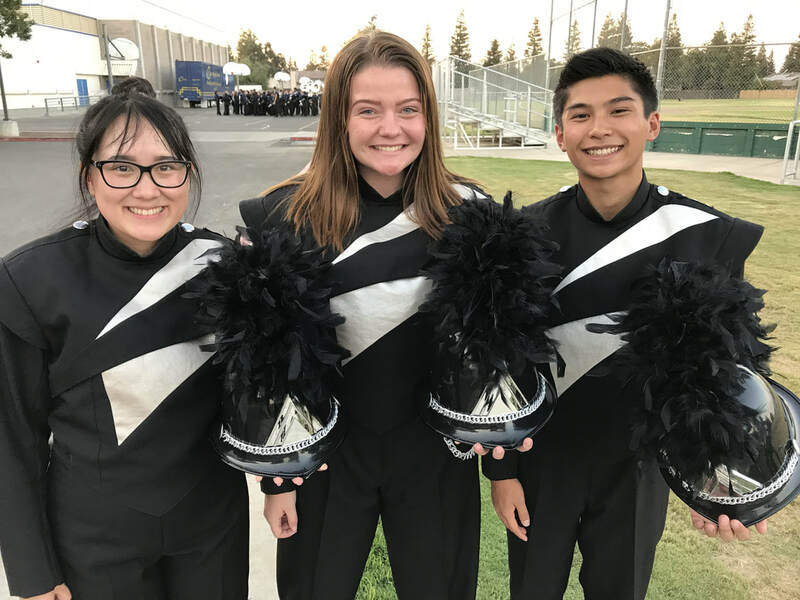 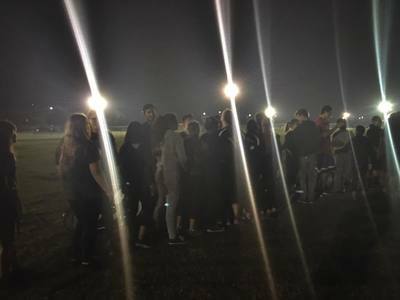 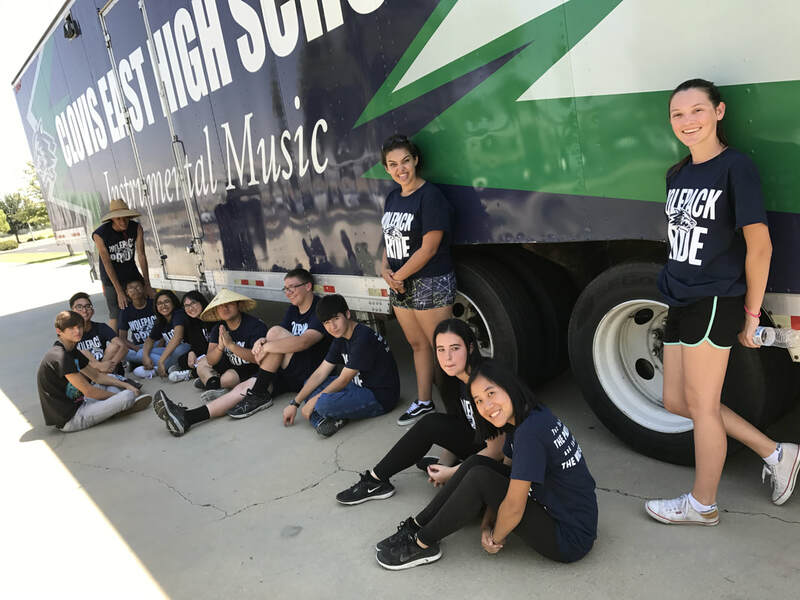 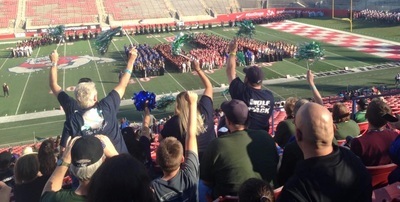 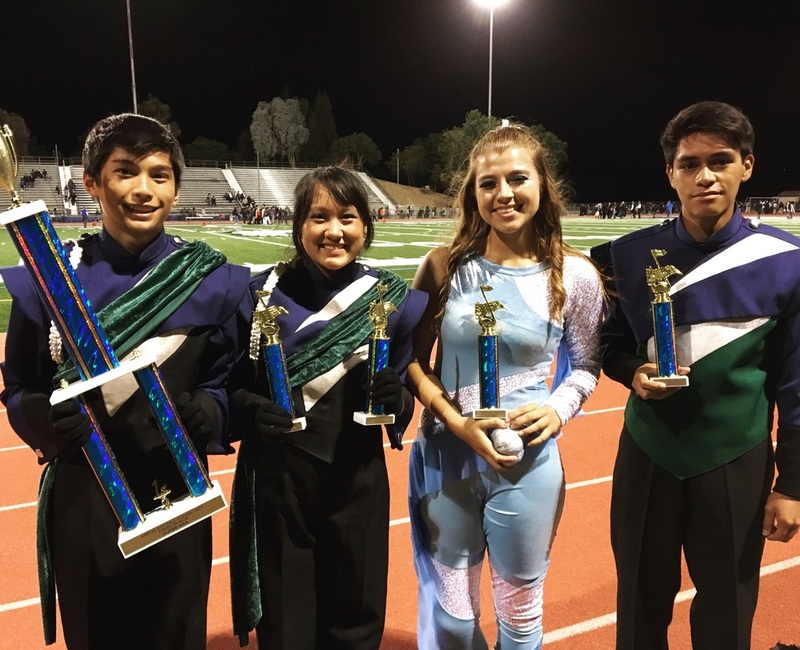 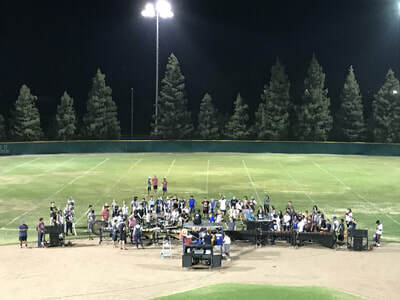 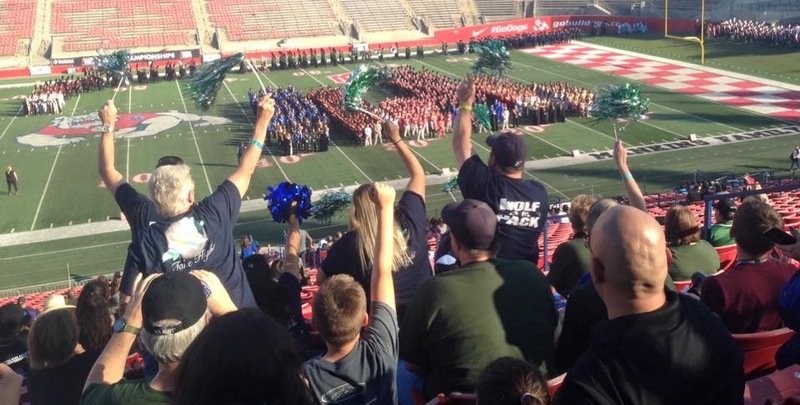 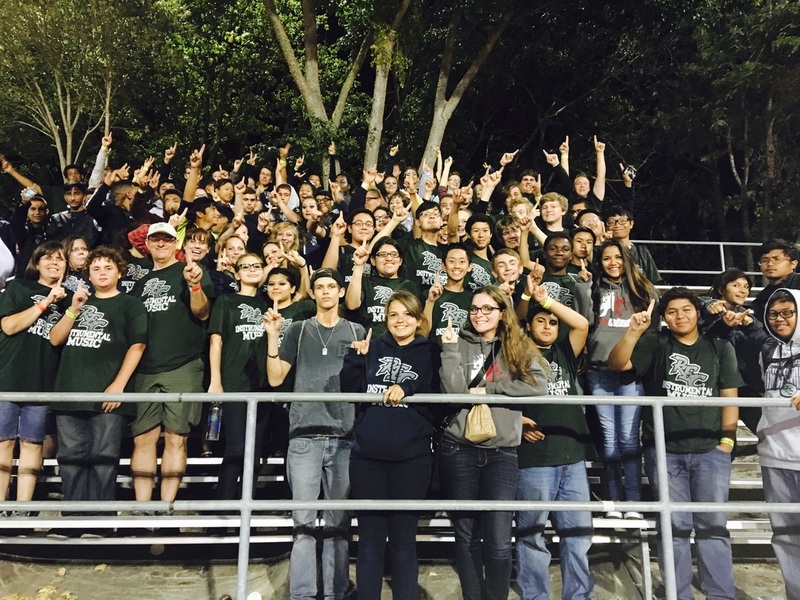 The band will support the football team at Friday Games, as well as travel around the state and valley competition in field show competitions. 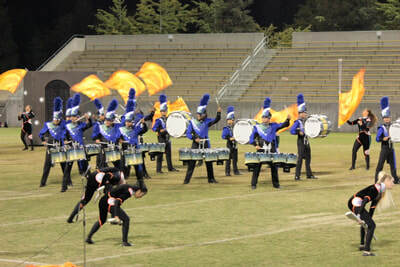 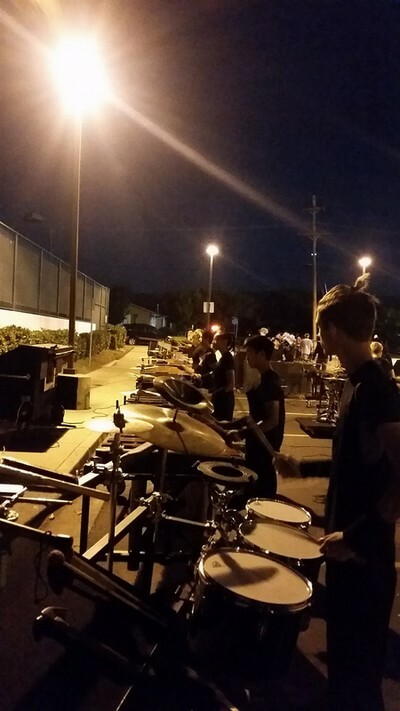 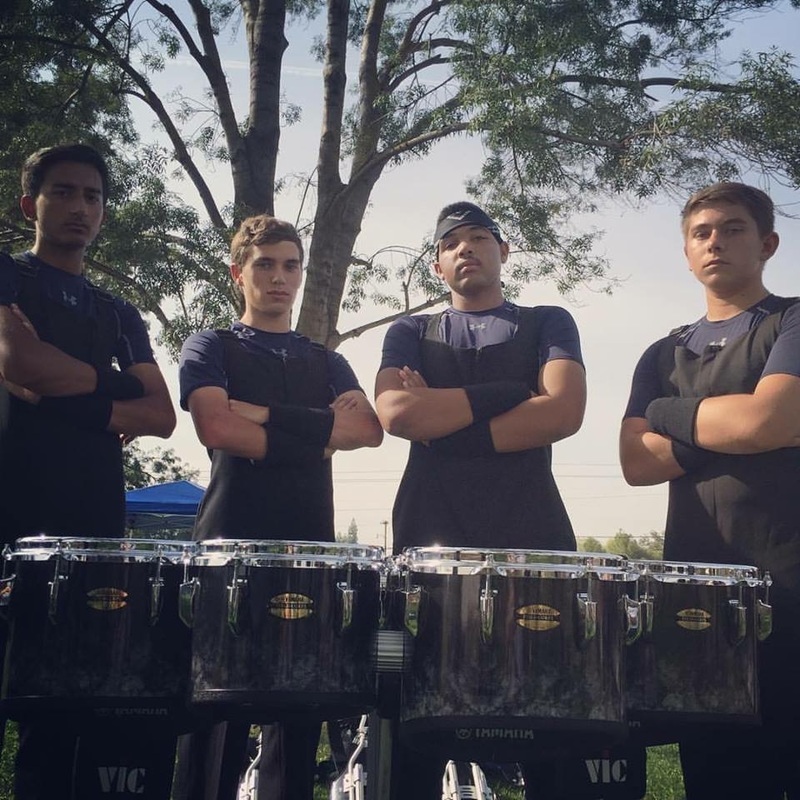 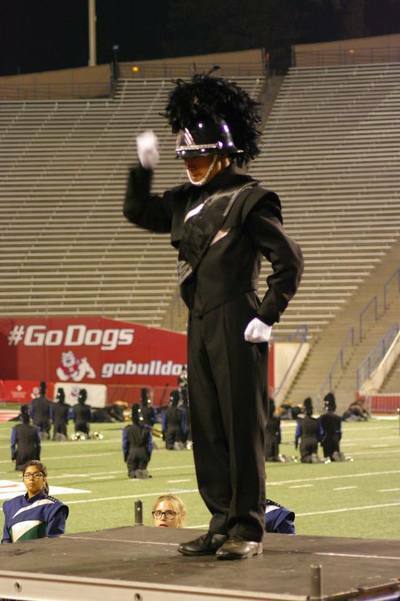 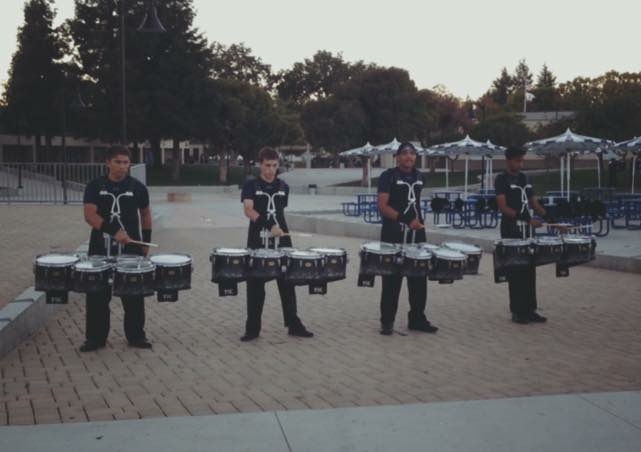 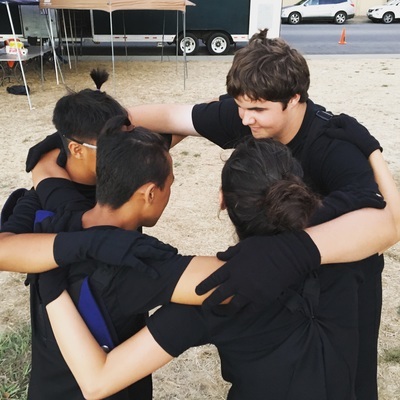 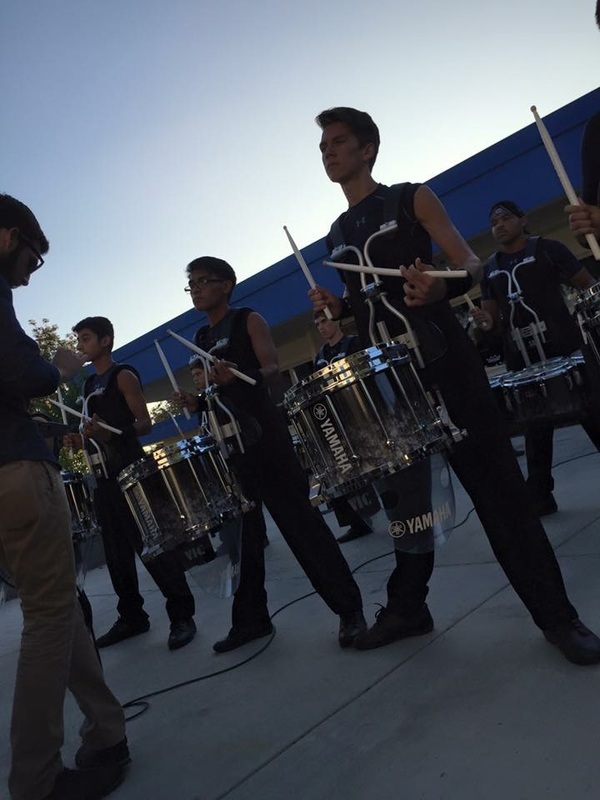 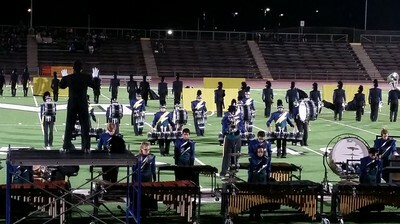 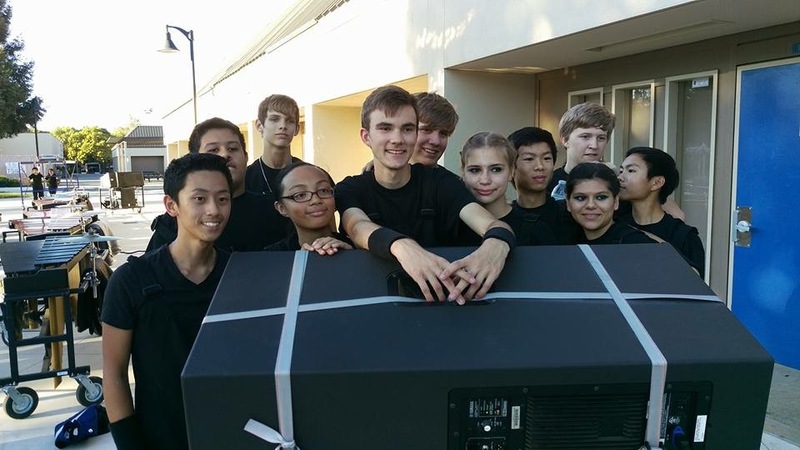 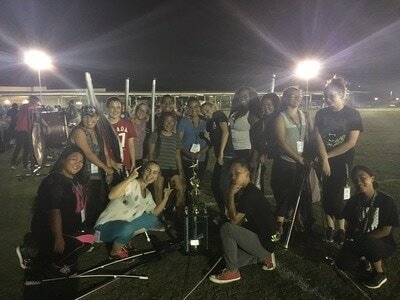 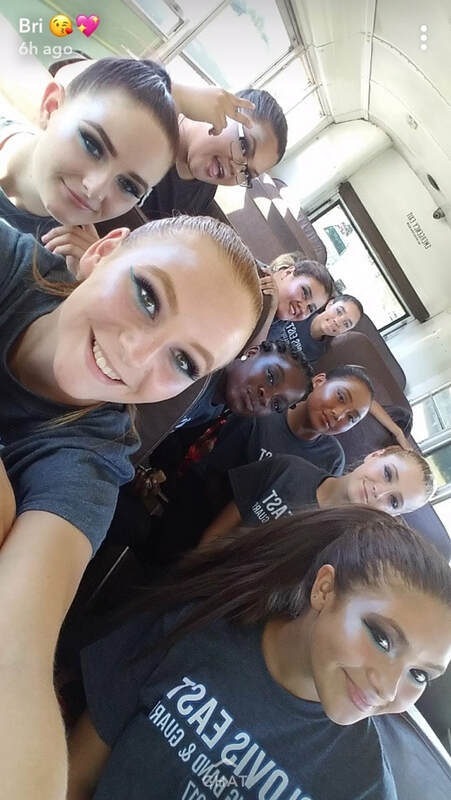 SUMMER REHEARSALS FOR GUARD/PERCUSSION: Tuesdays from 4-7pm on 6/12, 6/19, 6/26, 7/10, 7/17, 7/24. 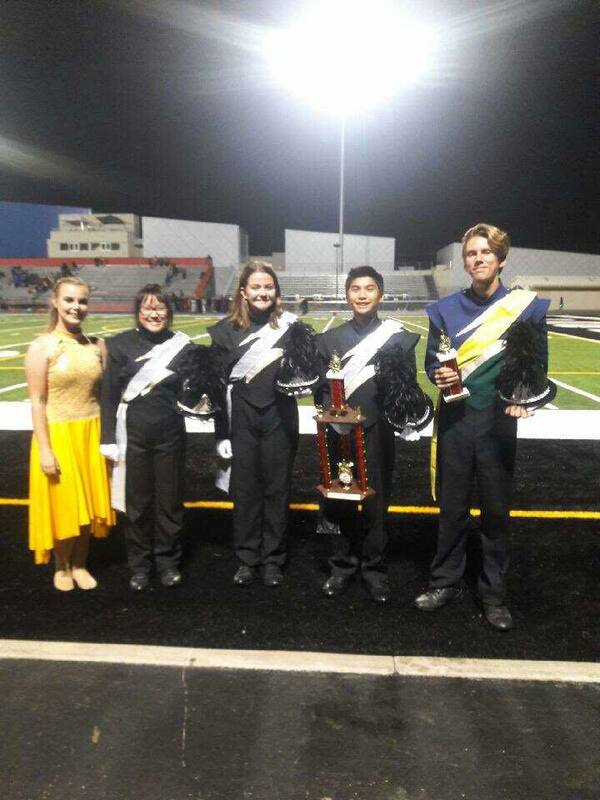 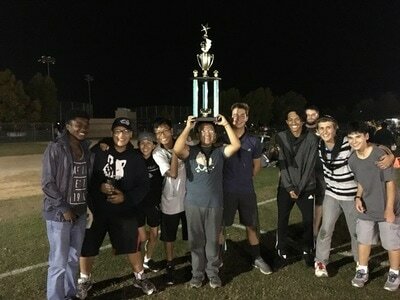 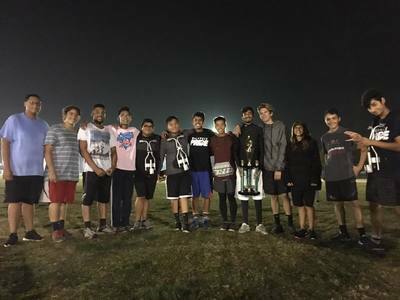 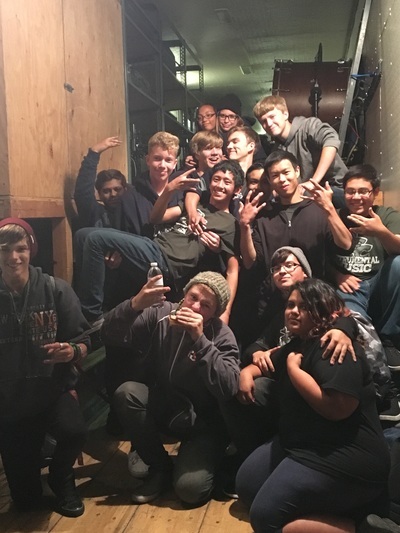 Fall 2016 Section Trophy Winners: Drumline!